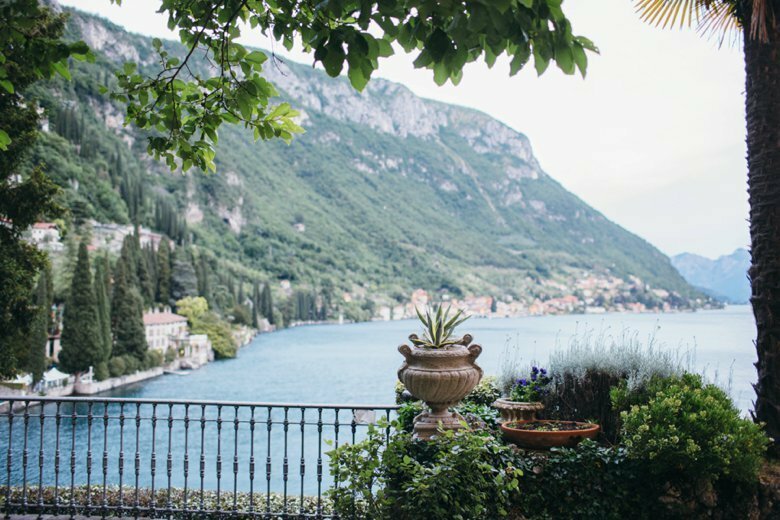 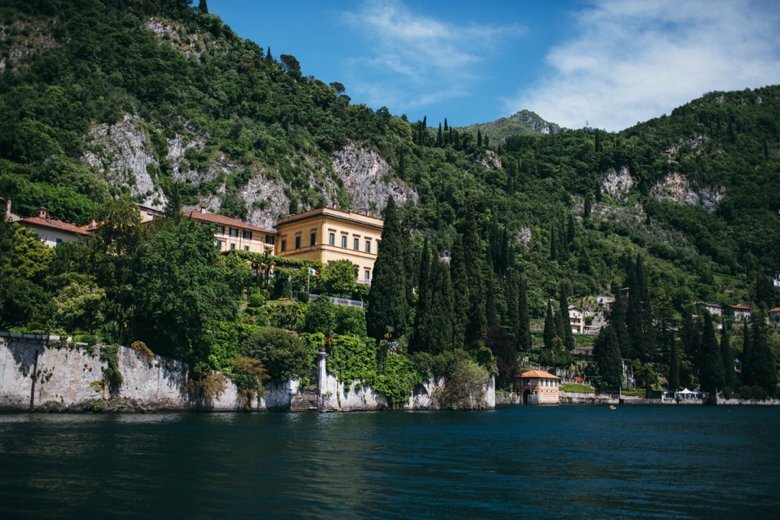 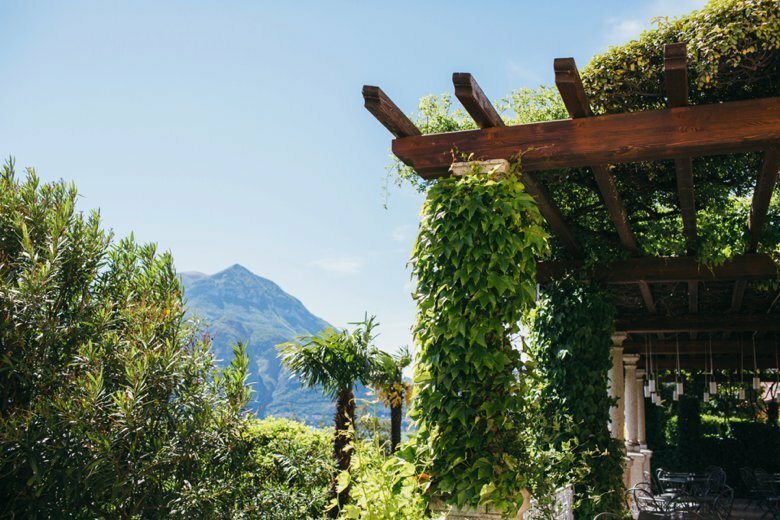 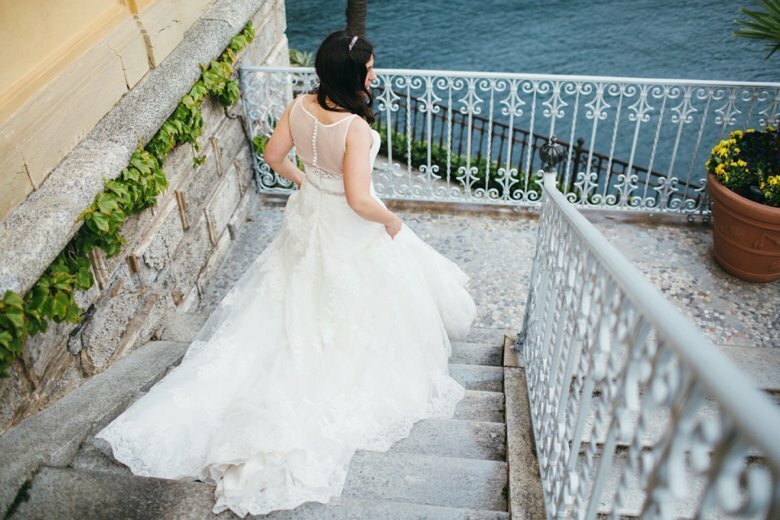 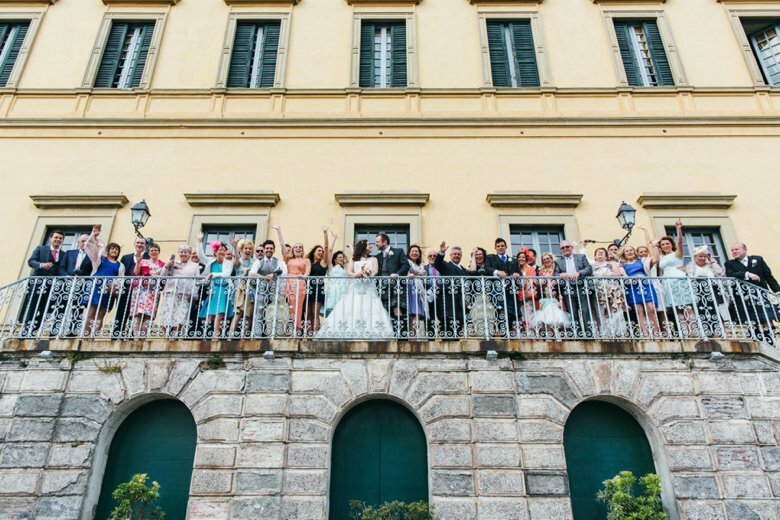 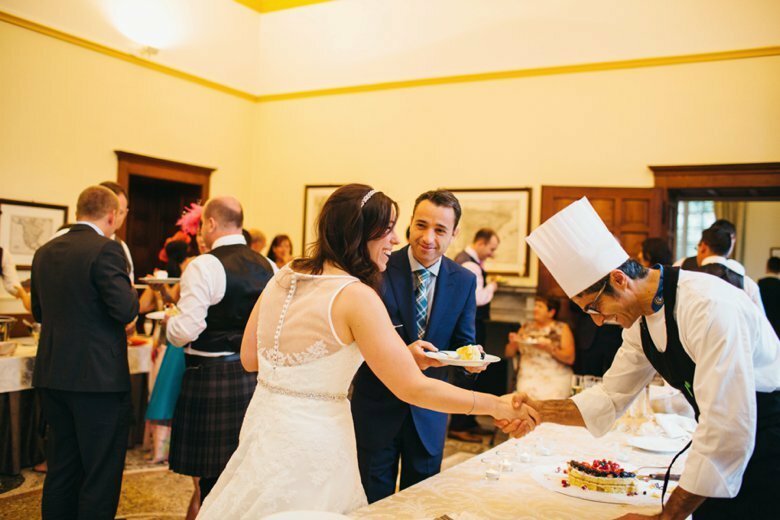 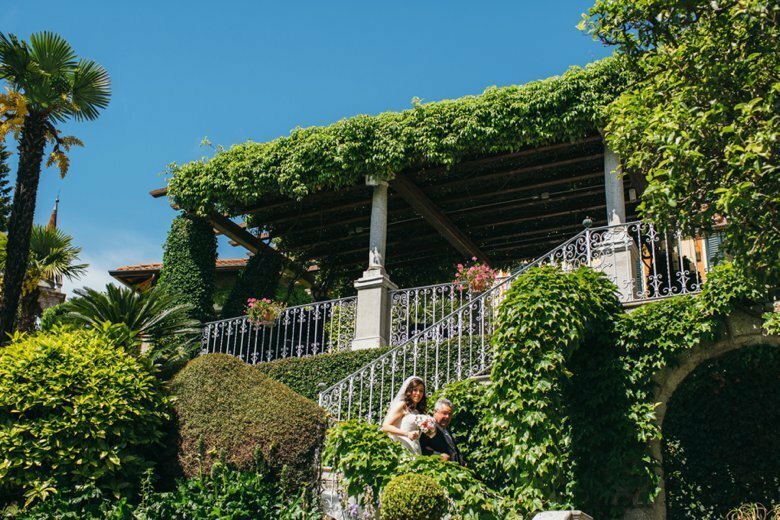 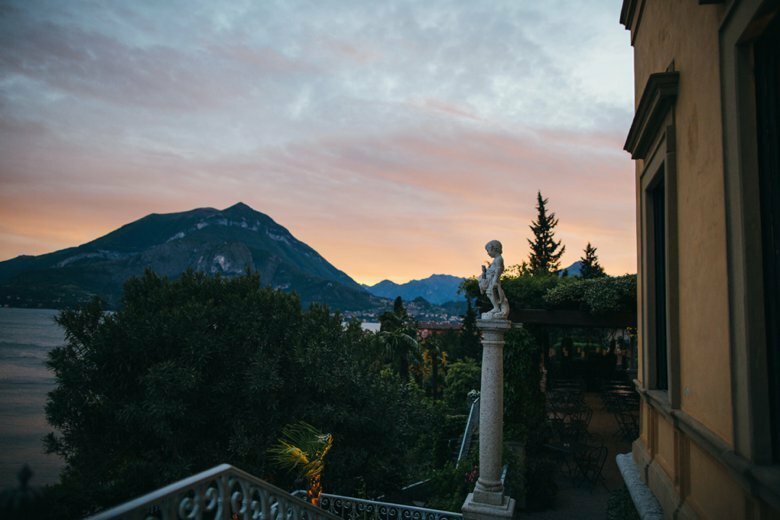 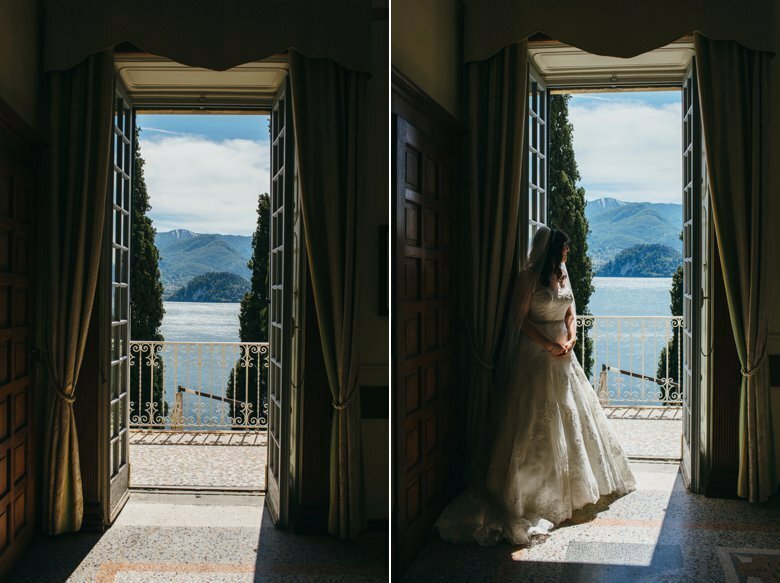 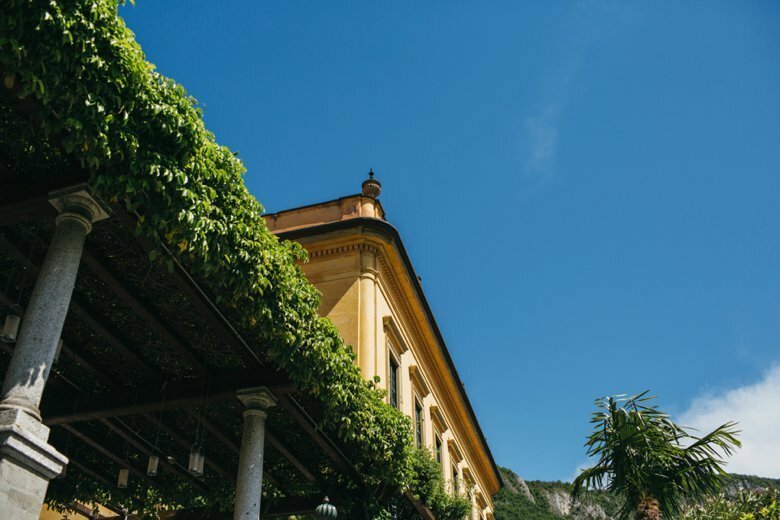 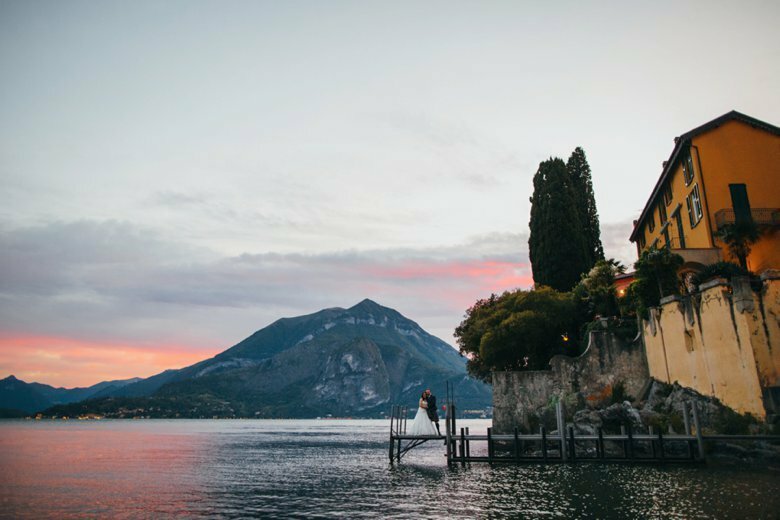 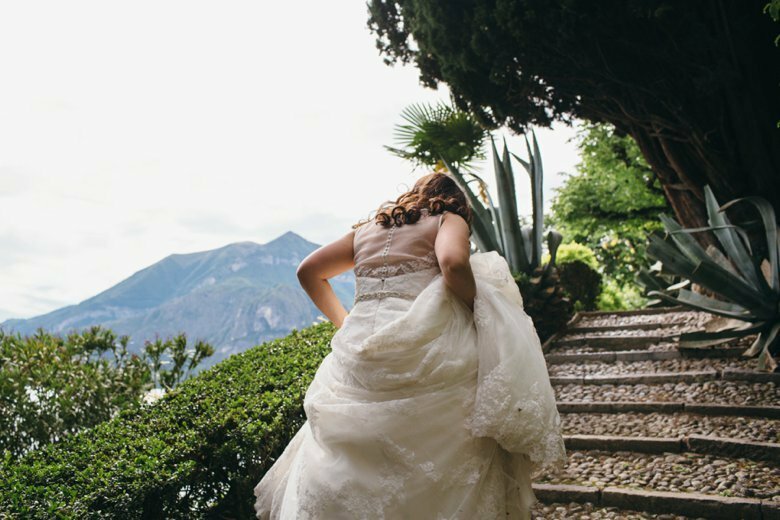 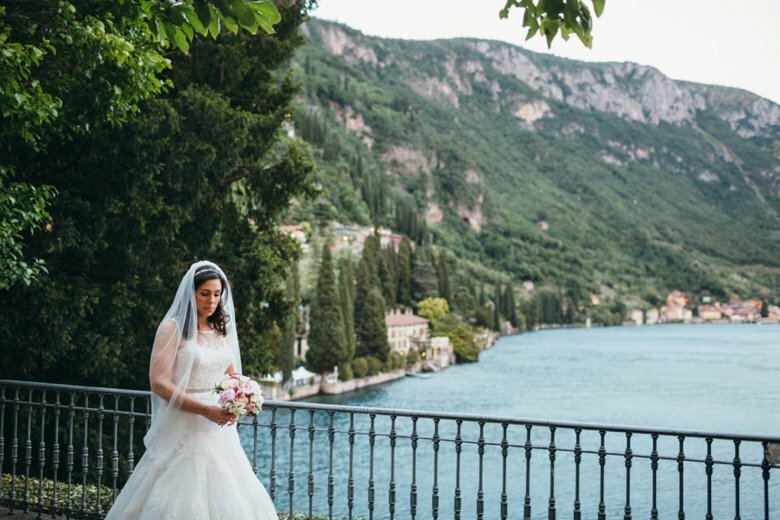 The wedding was held at the stunning Villa CipressiÂ Â in Varenna, a short boat ride from beautiful Bellagio where we were all staying. 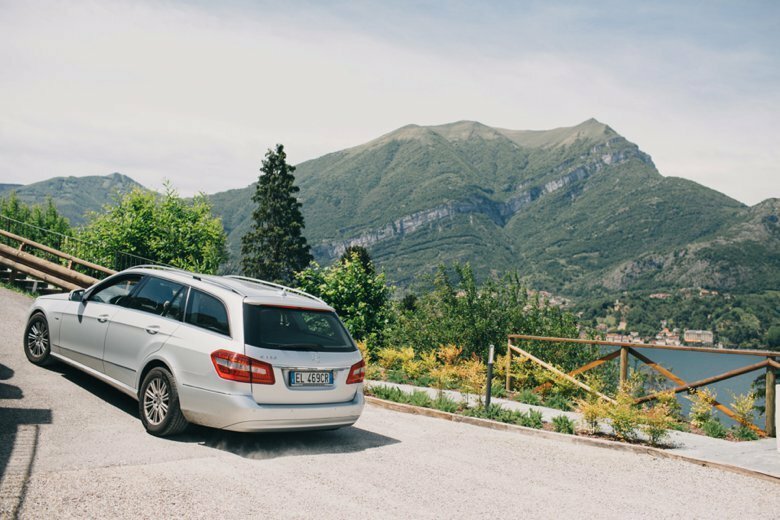 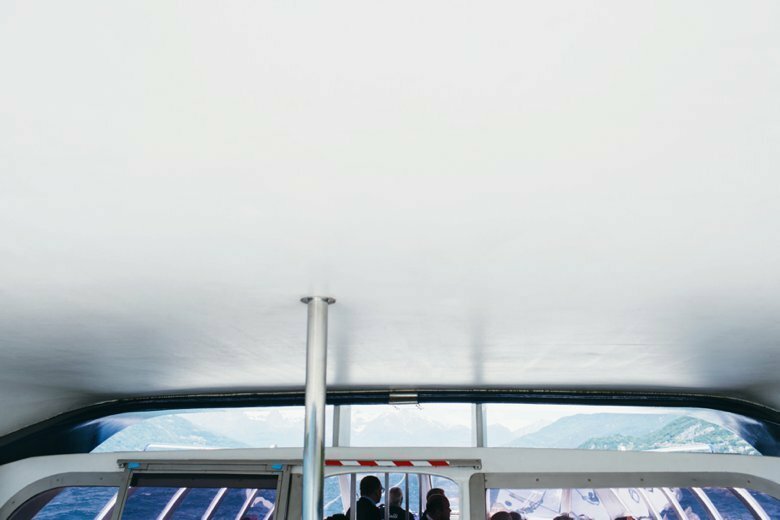 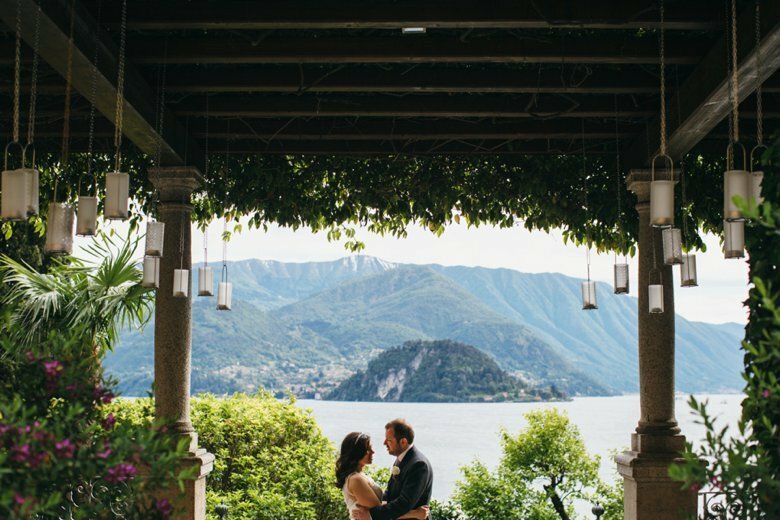 Â The location is nothing short of breathtaking, with views to die for. 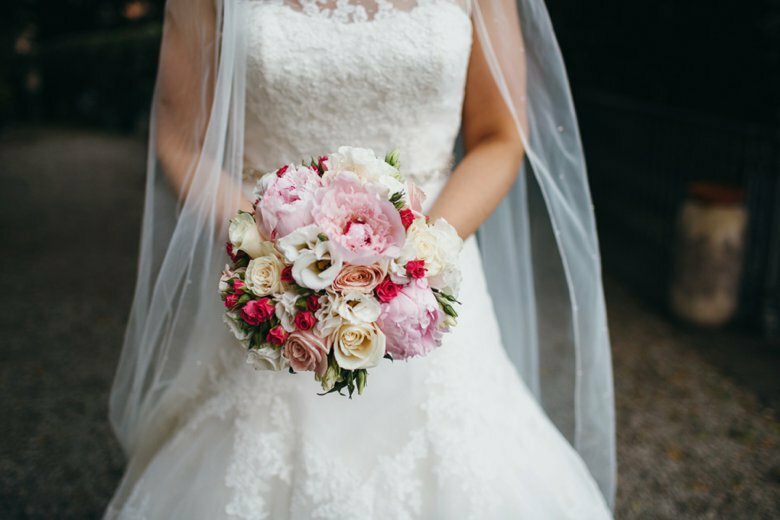 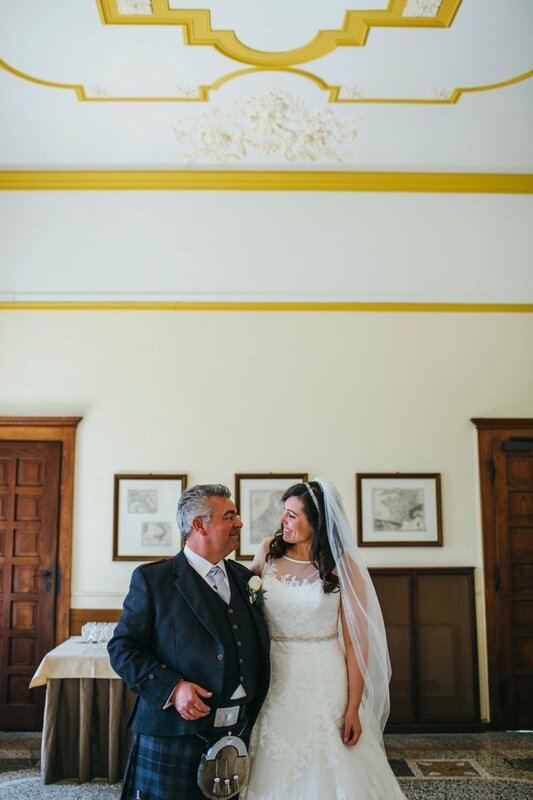 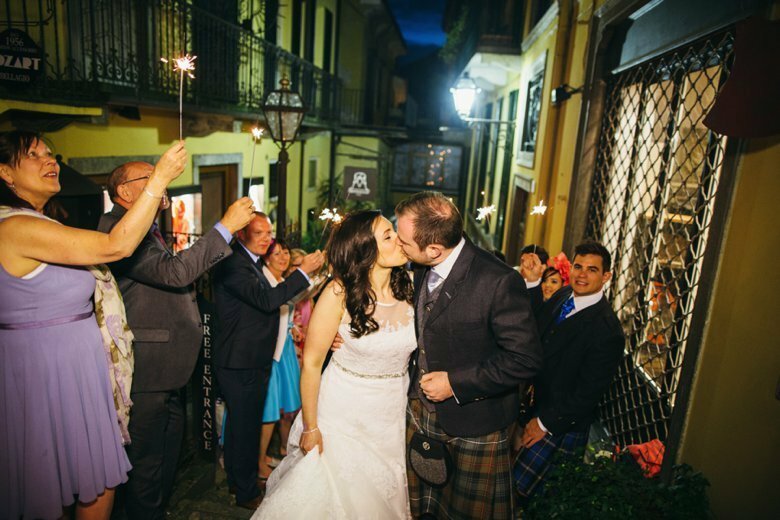 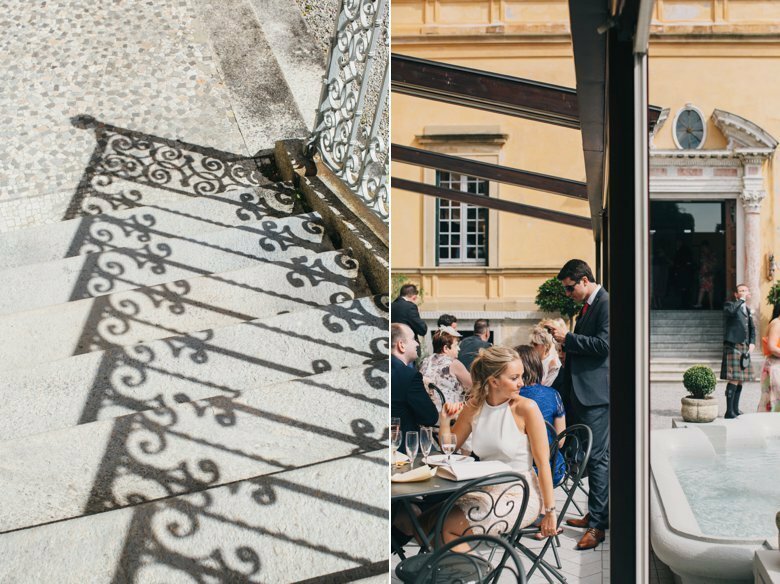 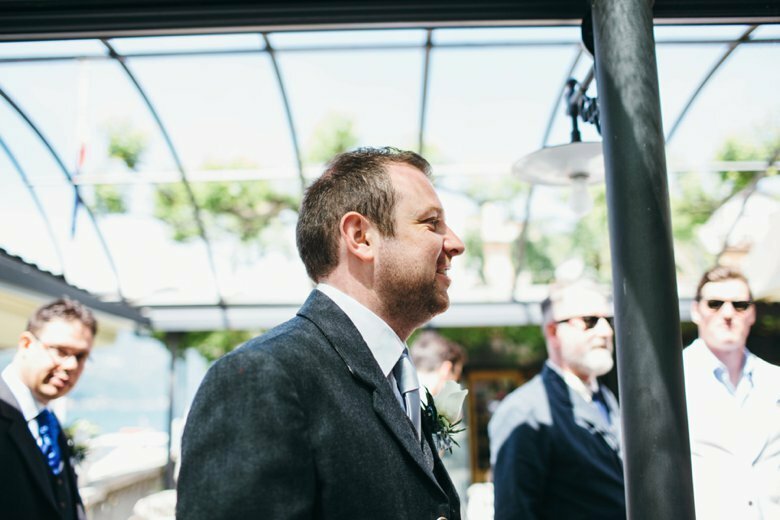 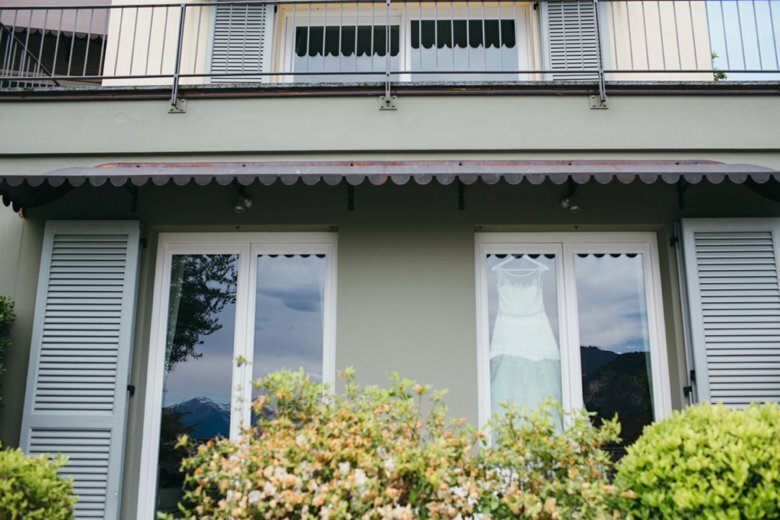 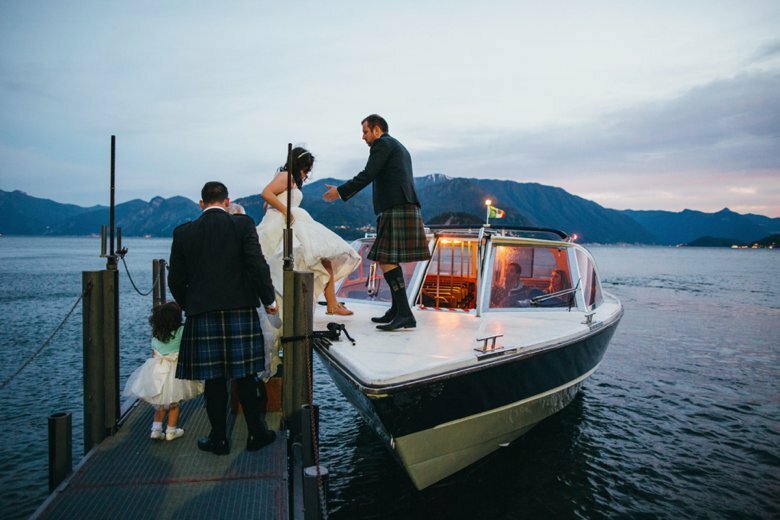 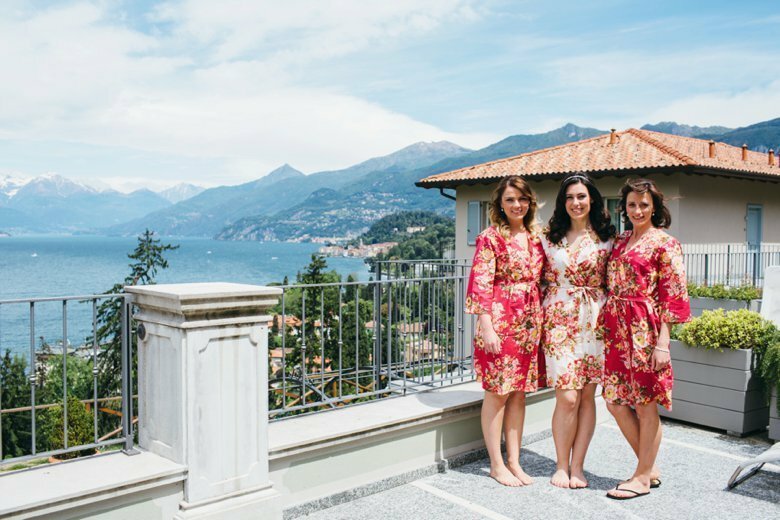 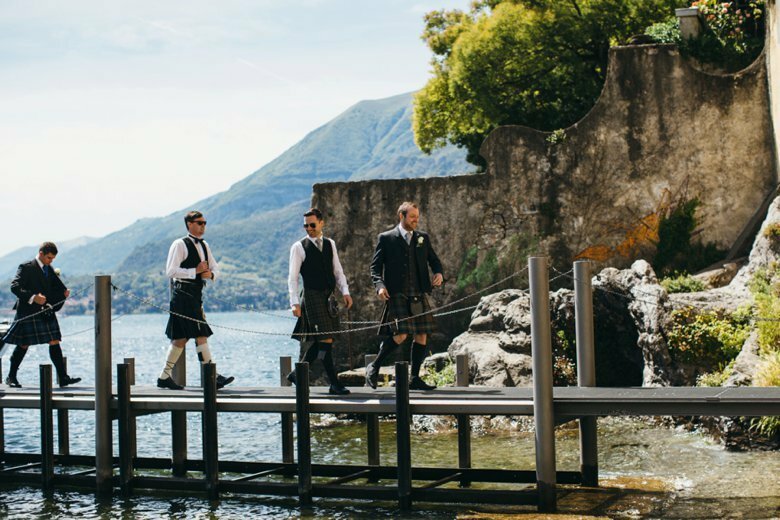 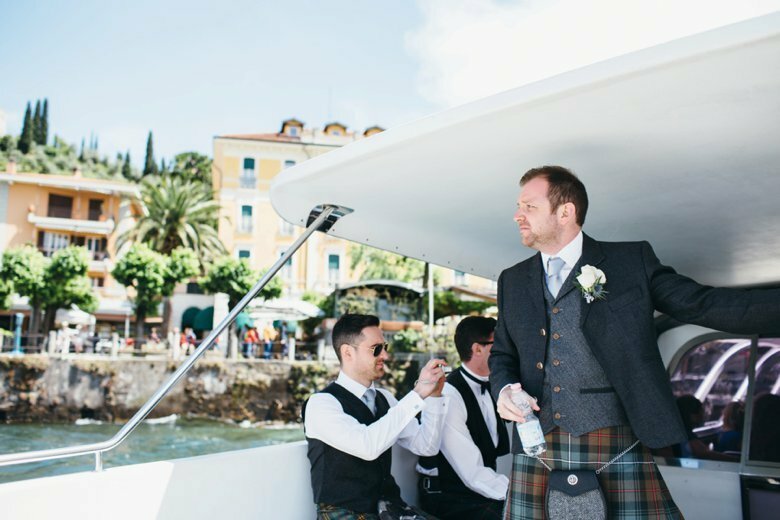 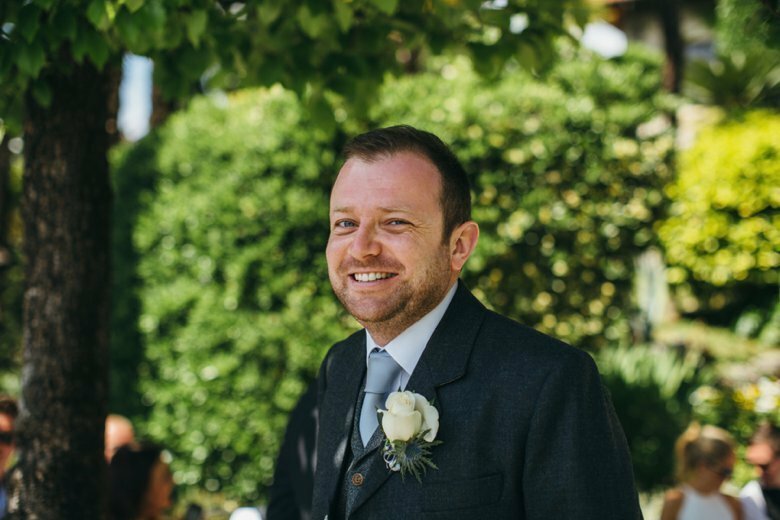 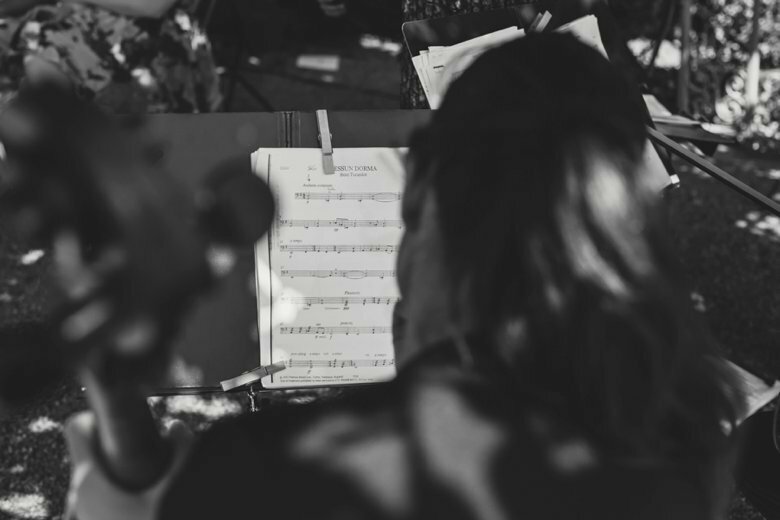 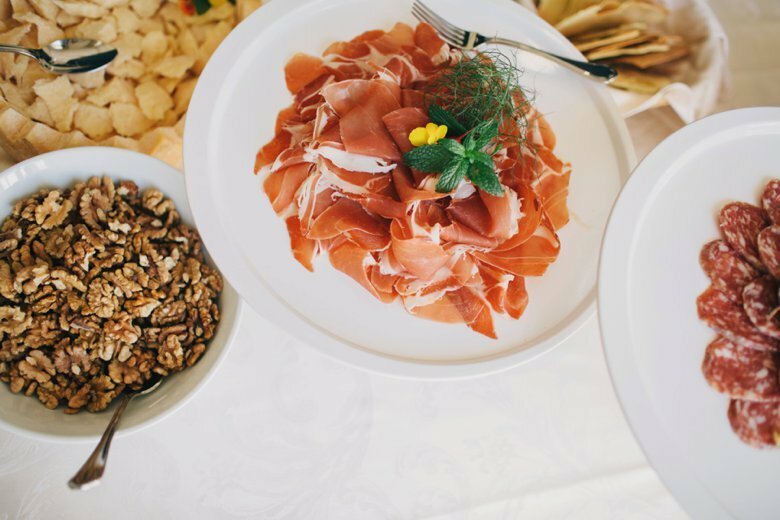 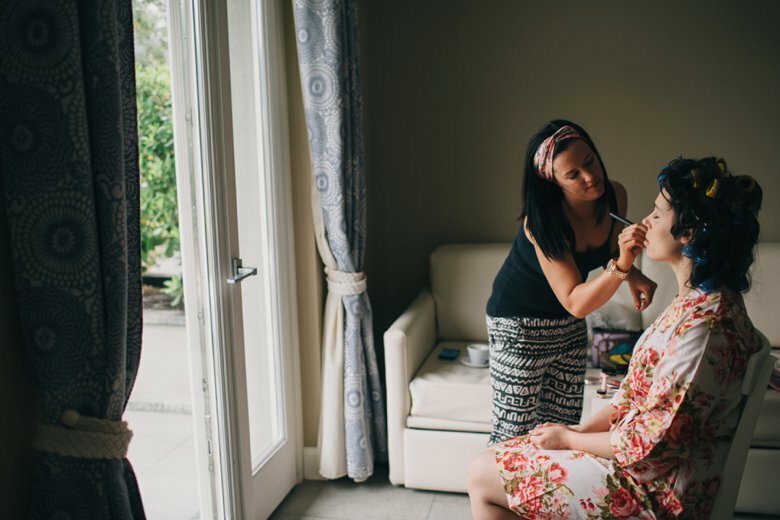 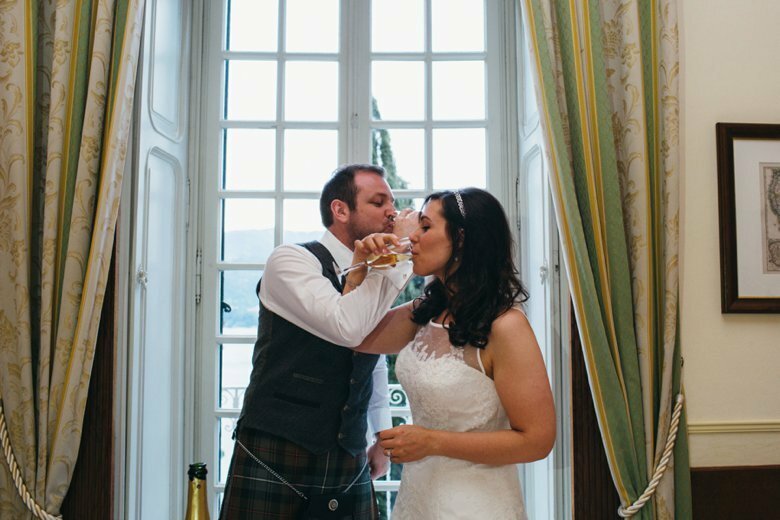 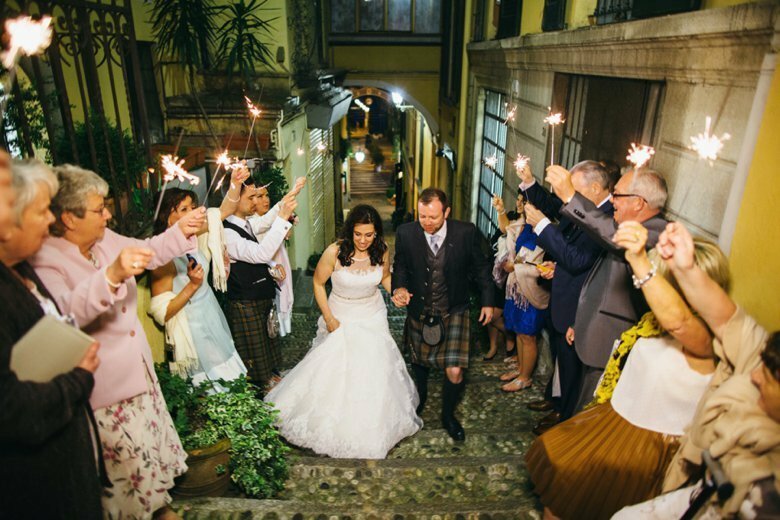 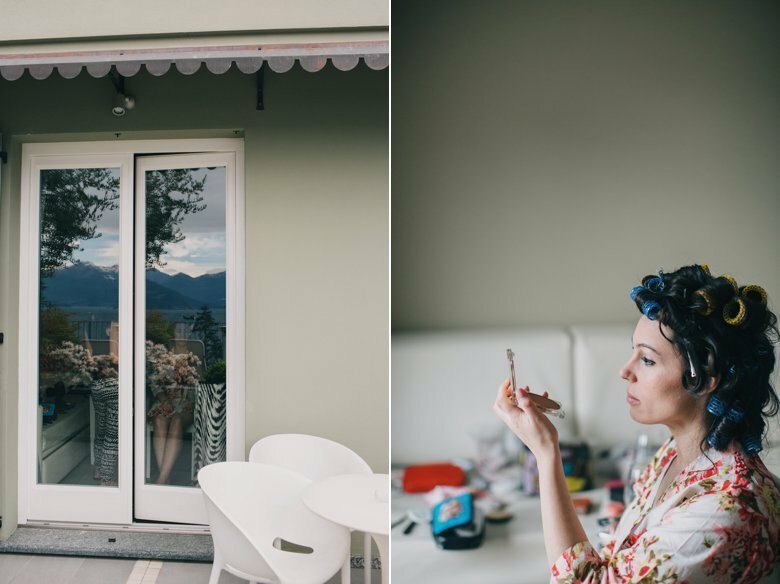 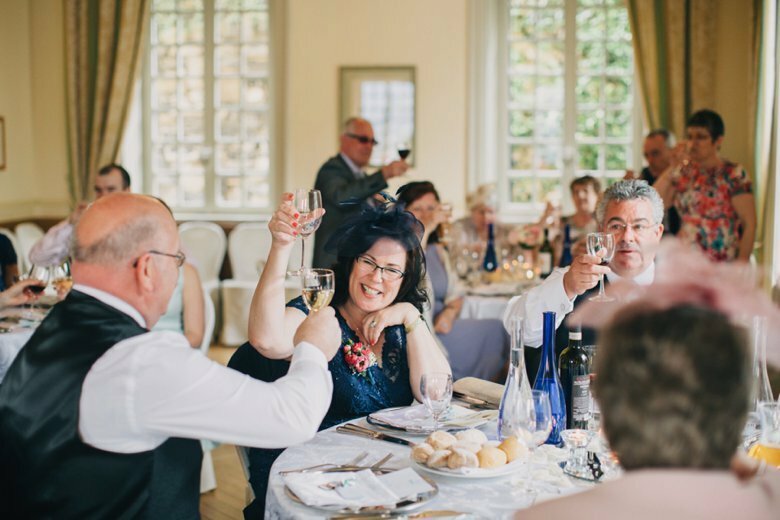 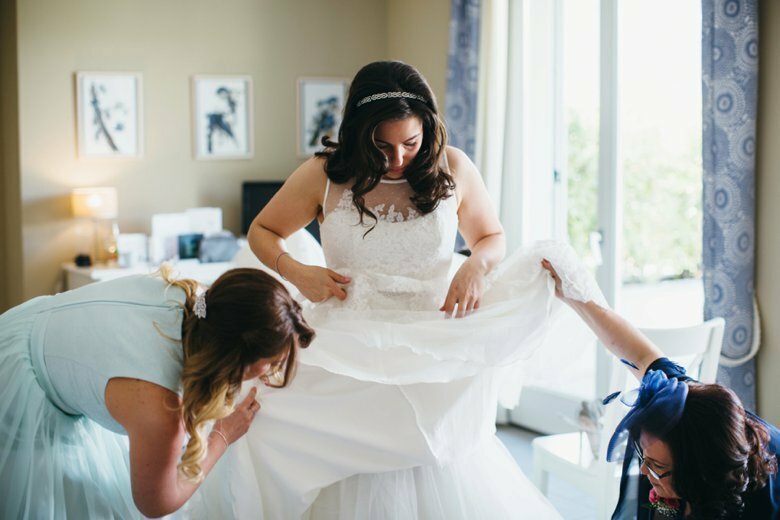 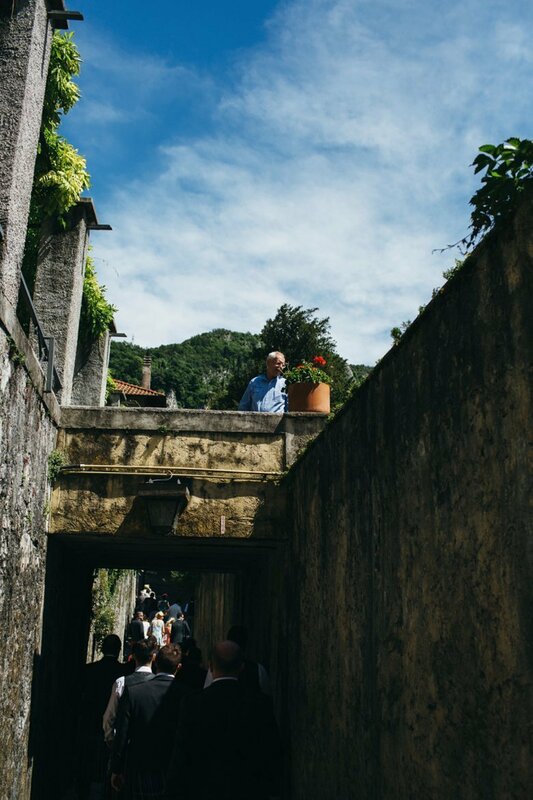 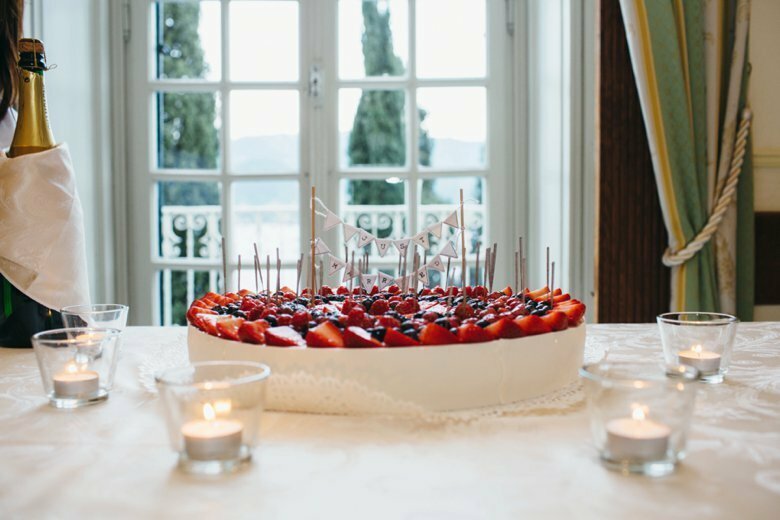 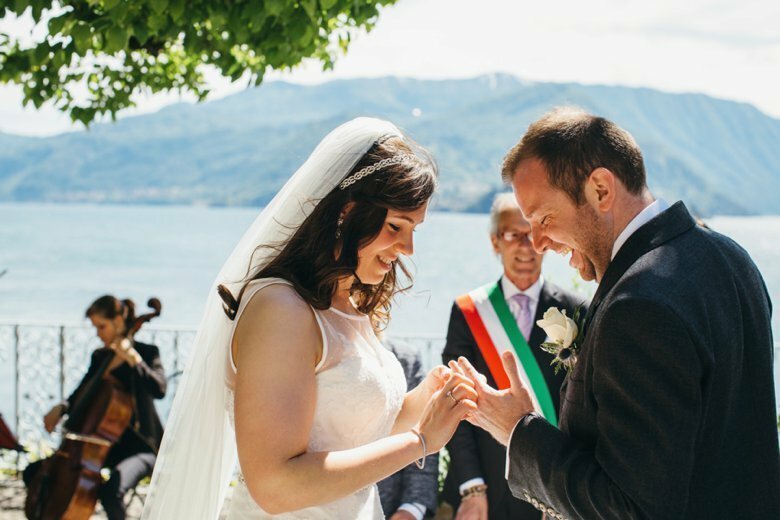 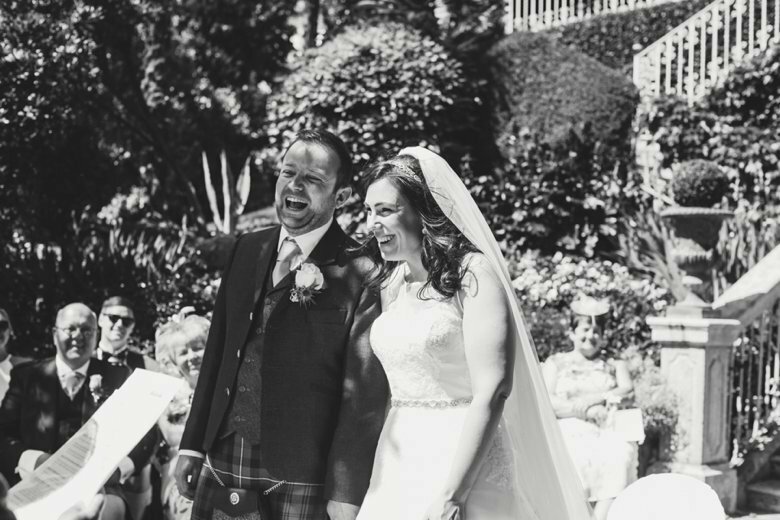 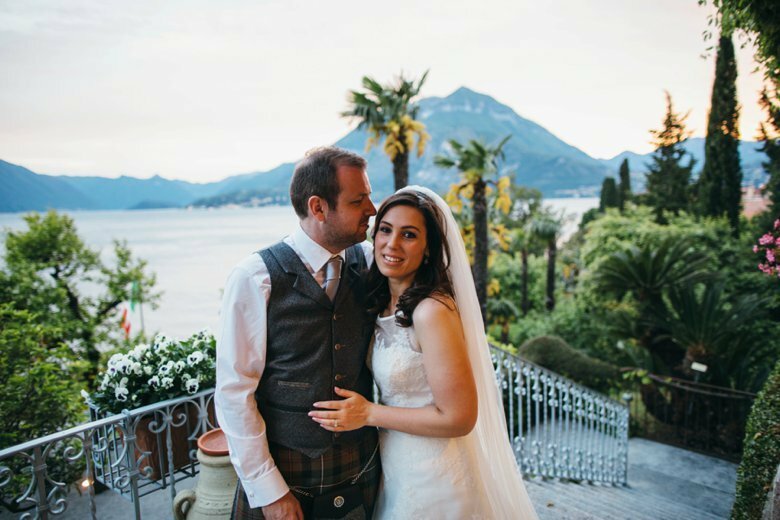 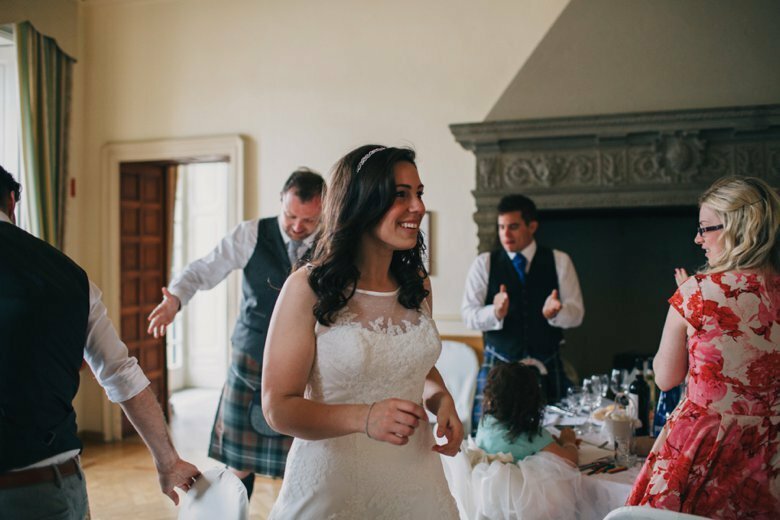 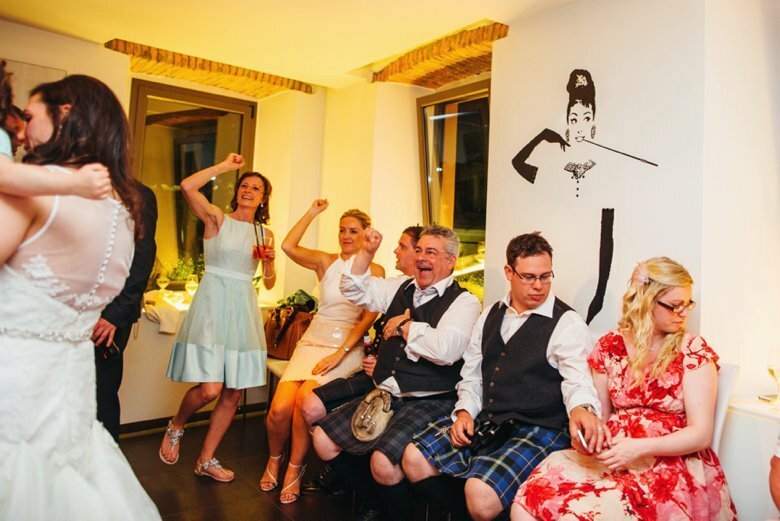 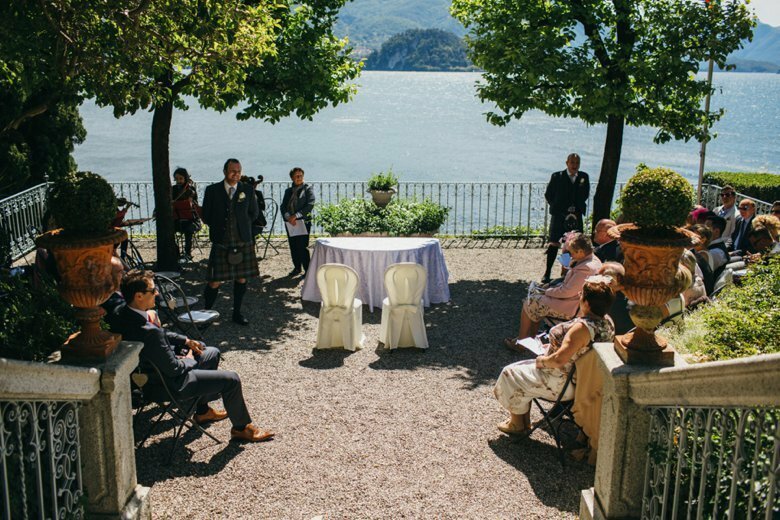 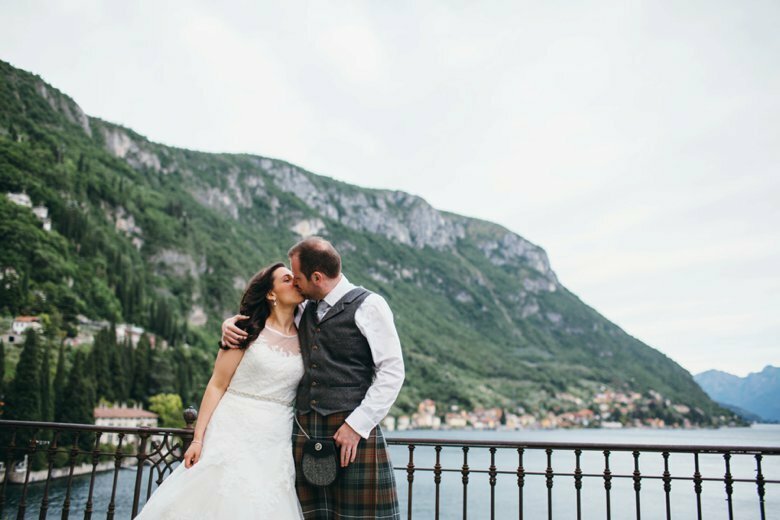 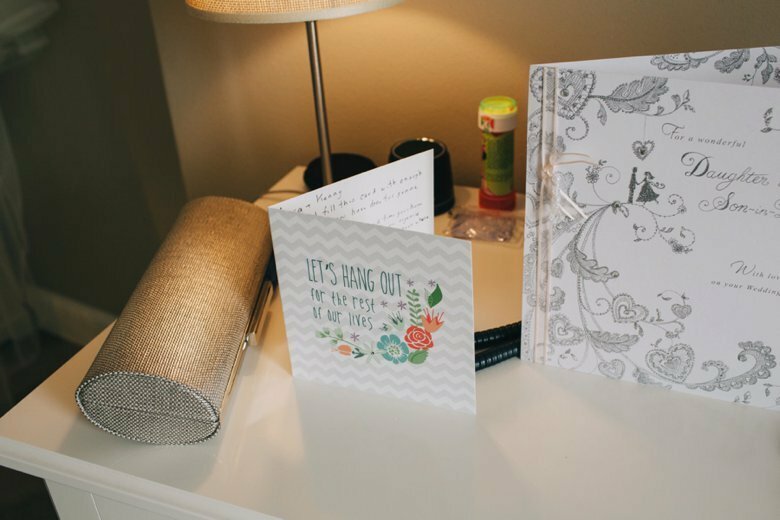 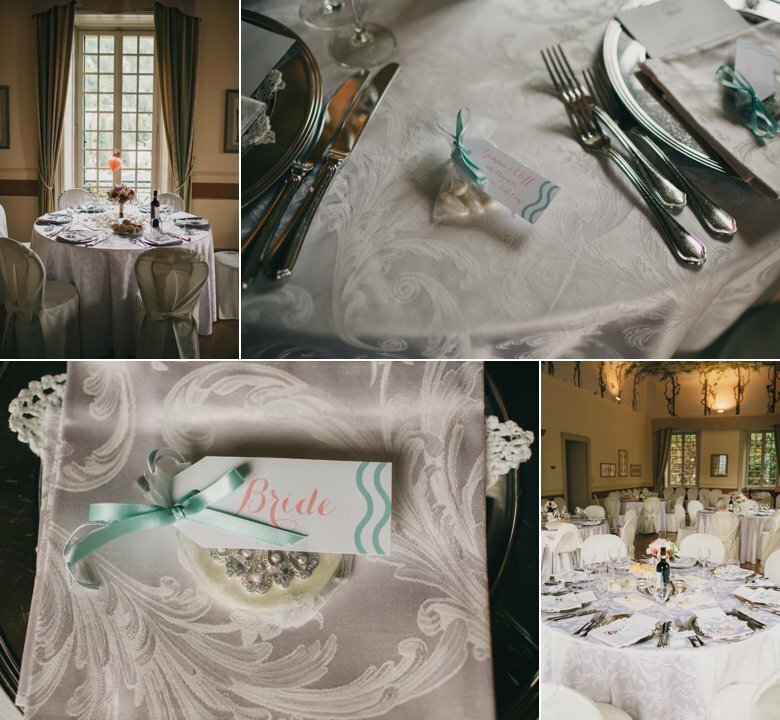 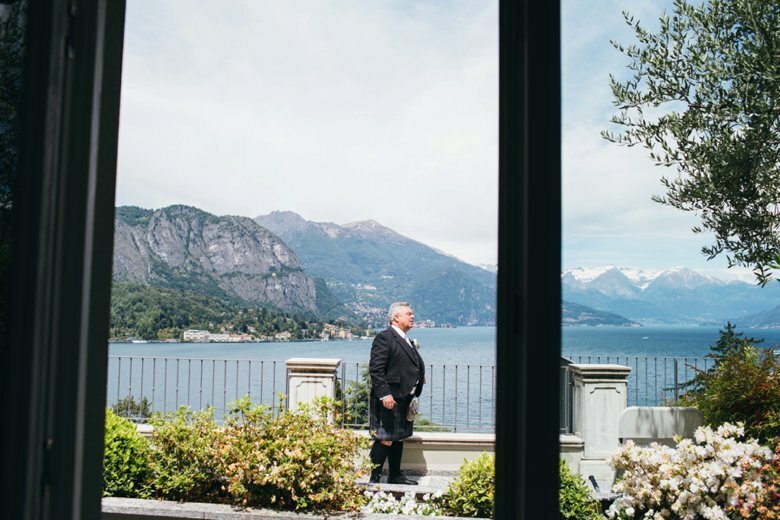 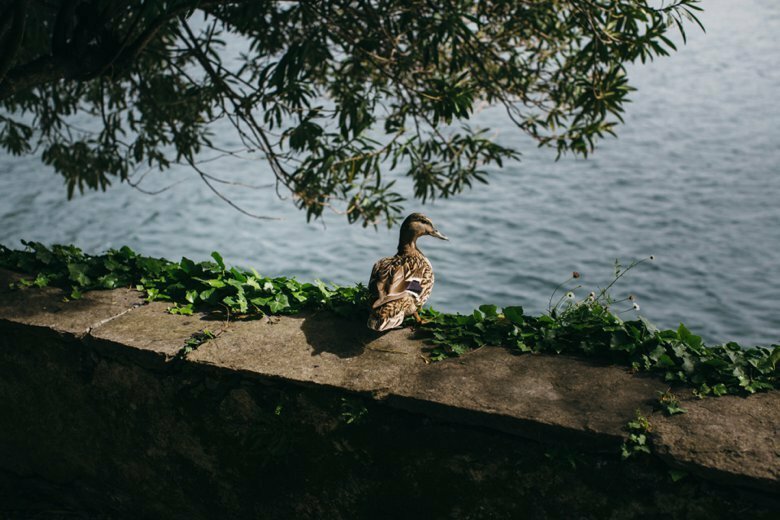 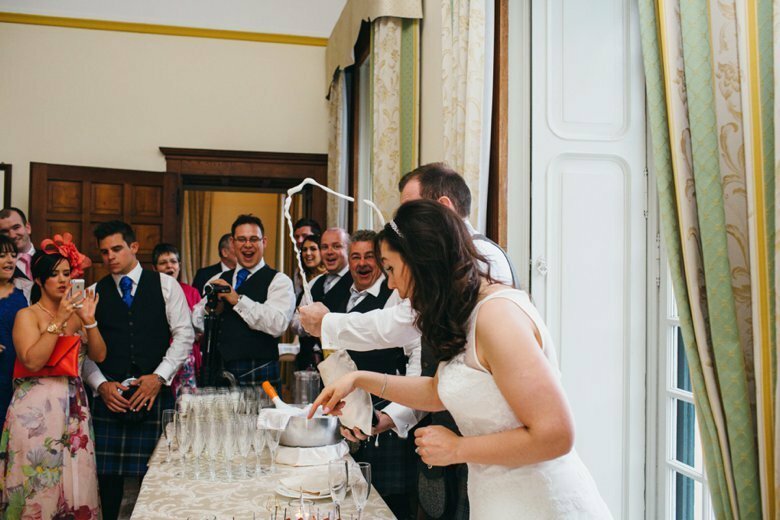 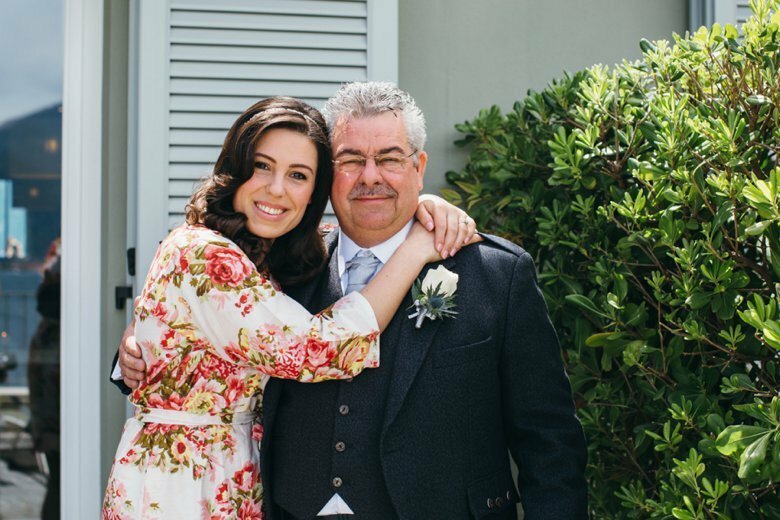 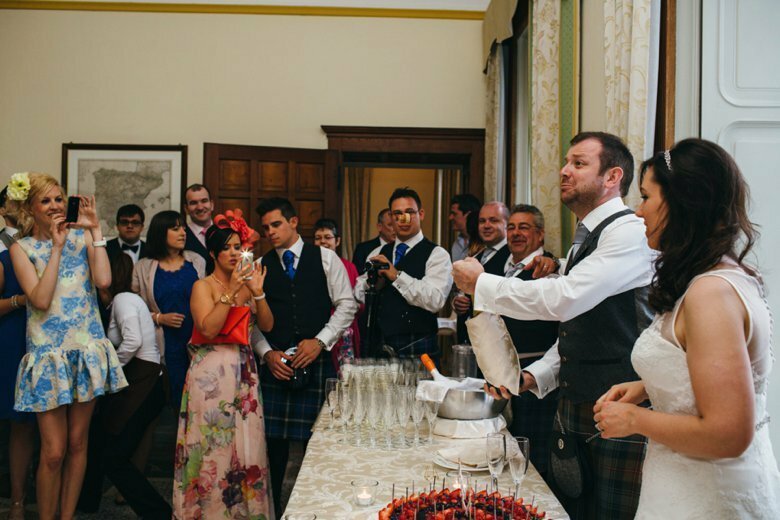 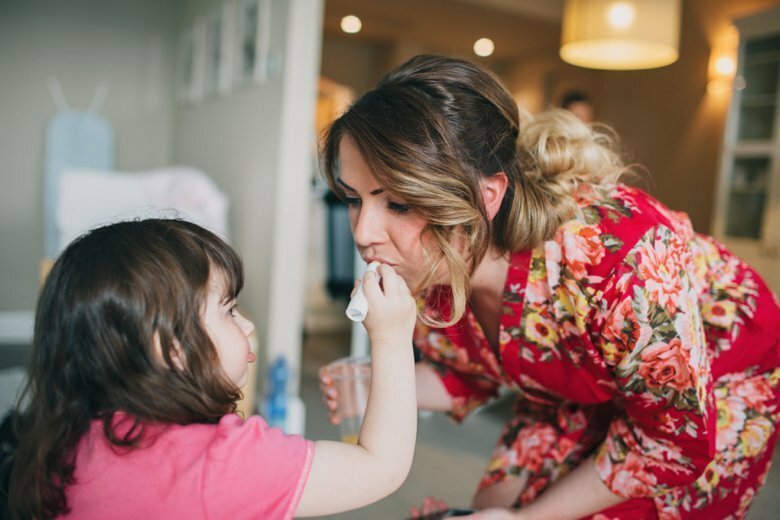 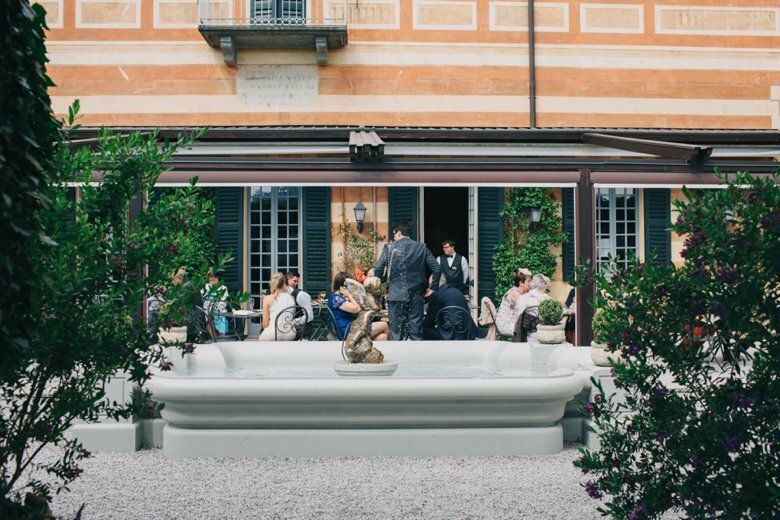 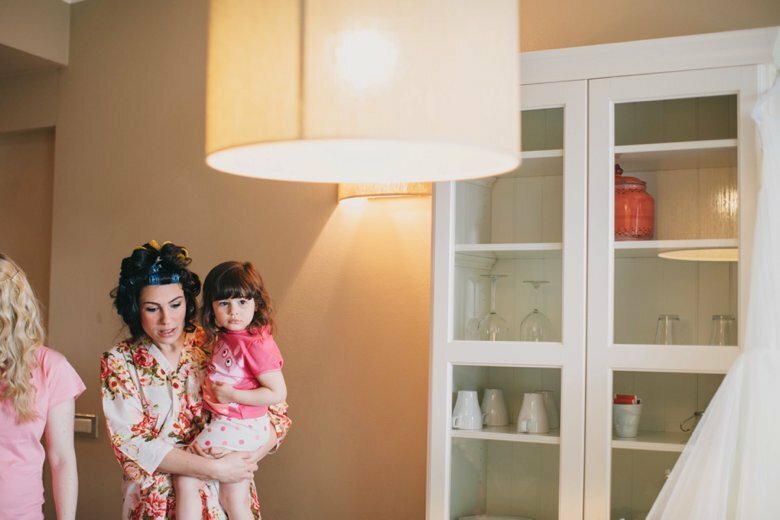 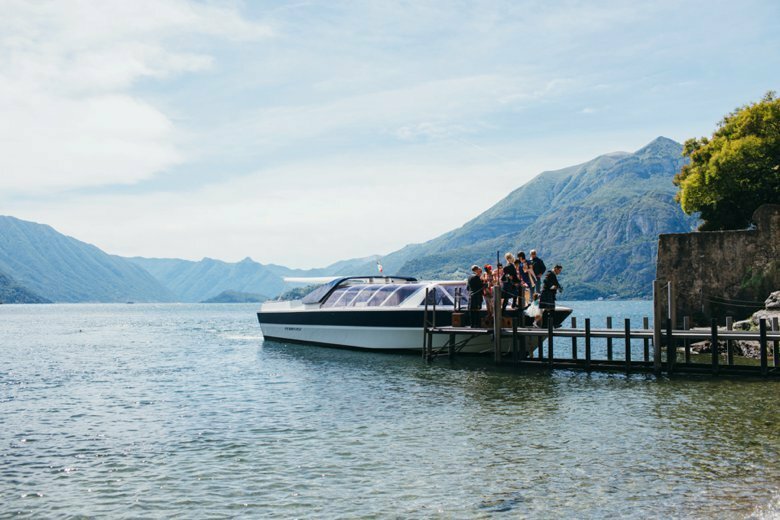 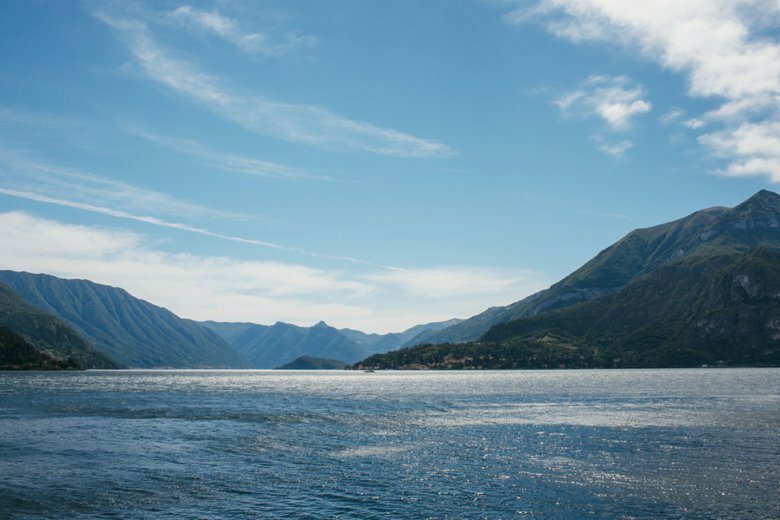 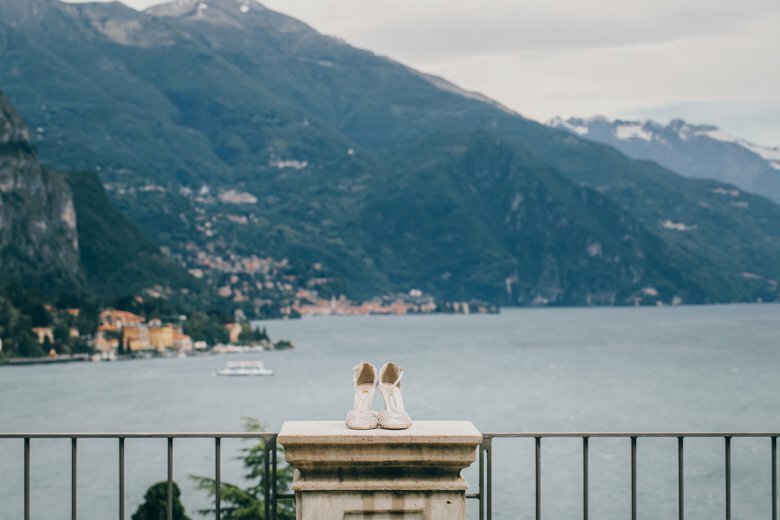 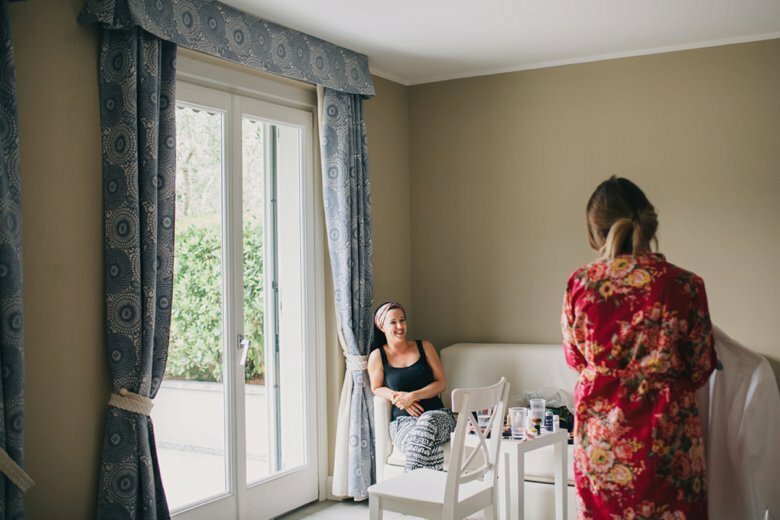 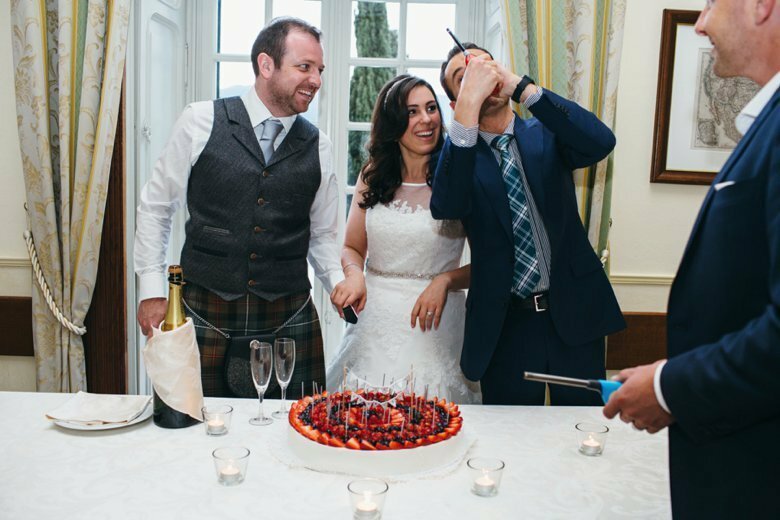 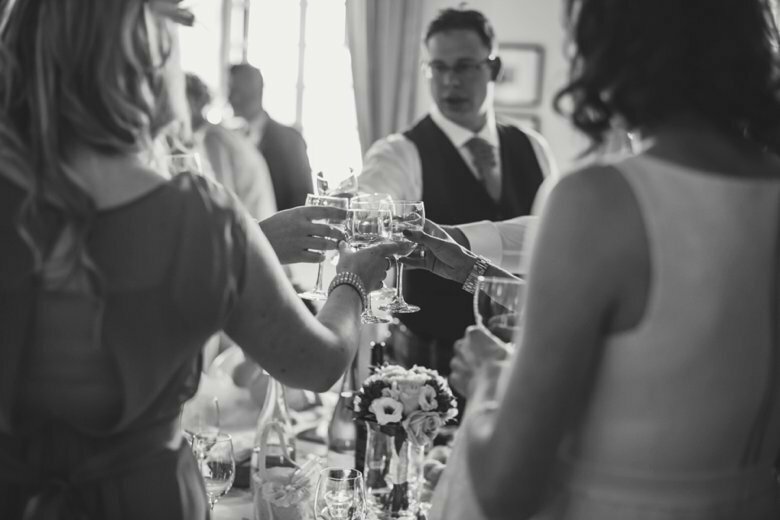 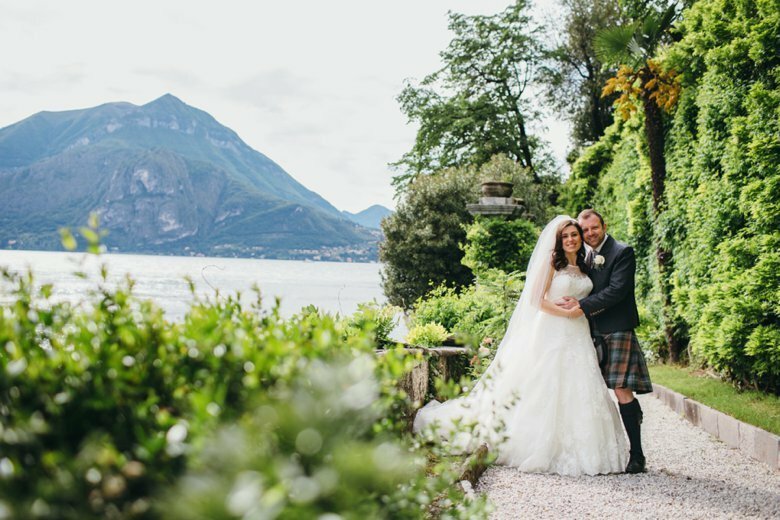 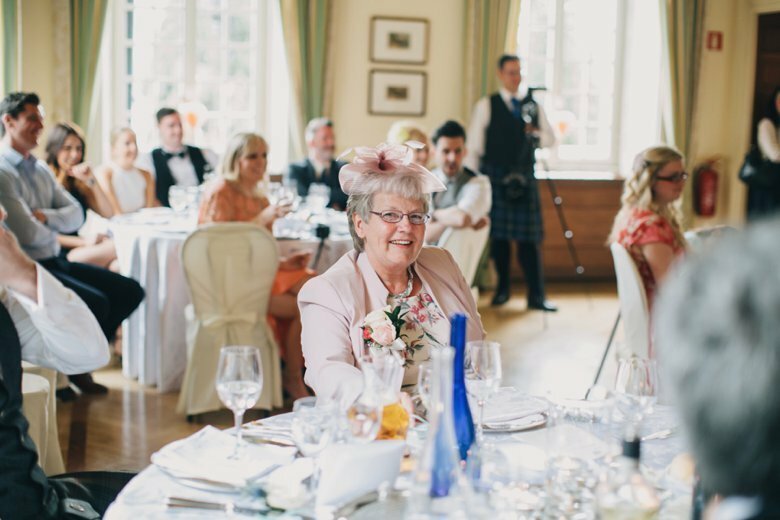 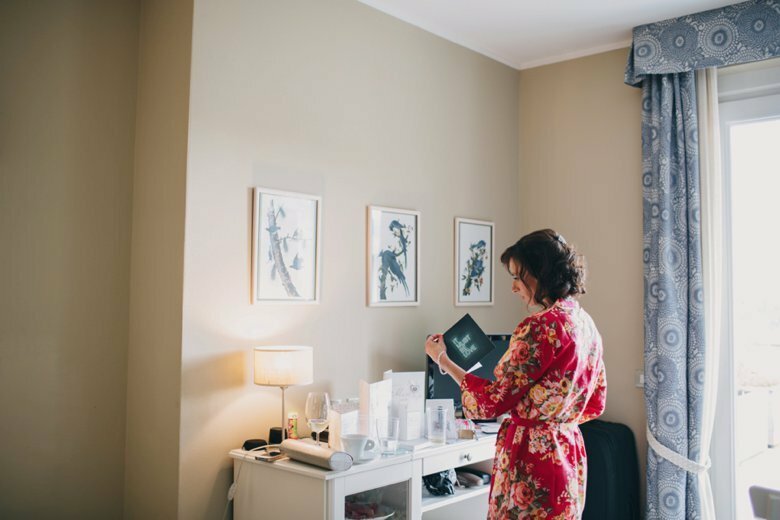 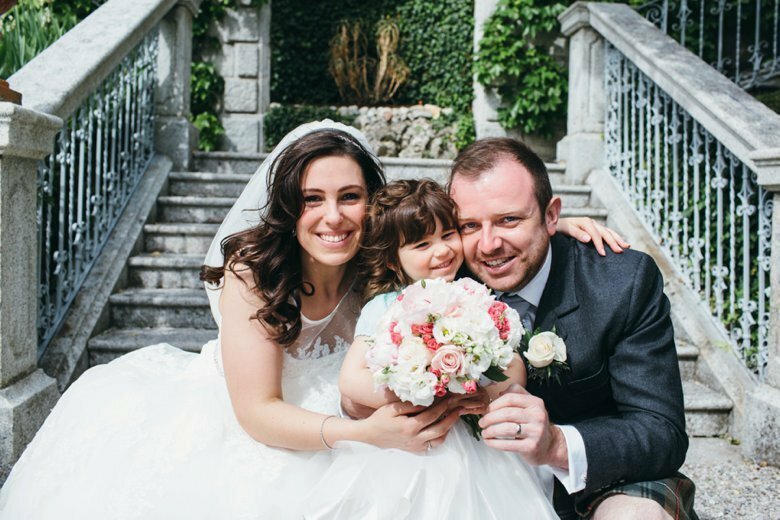 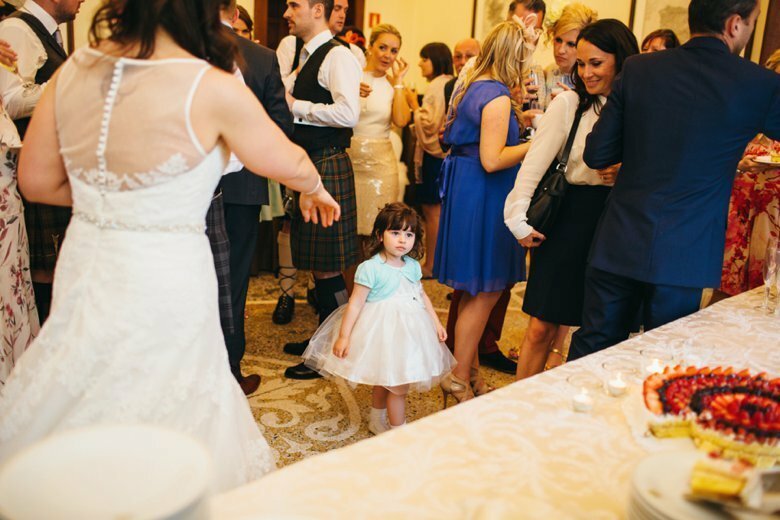 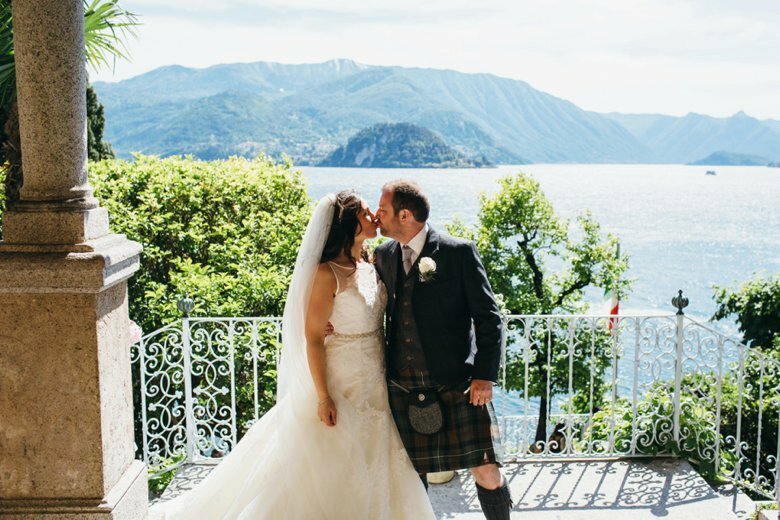 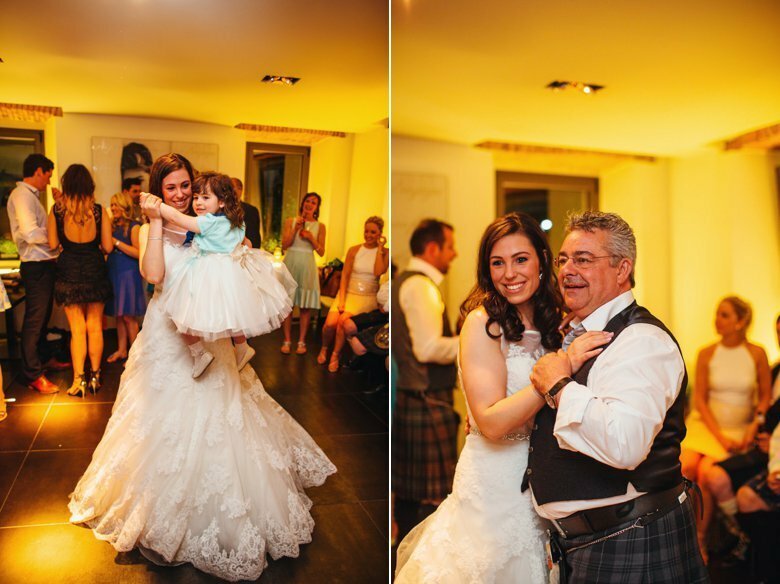 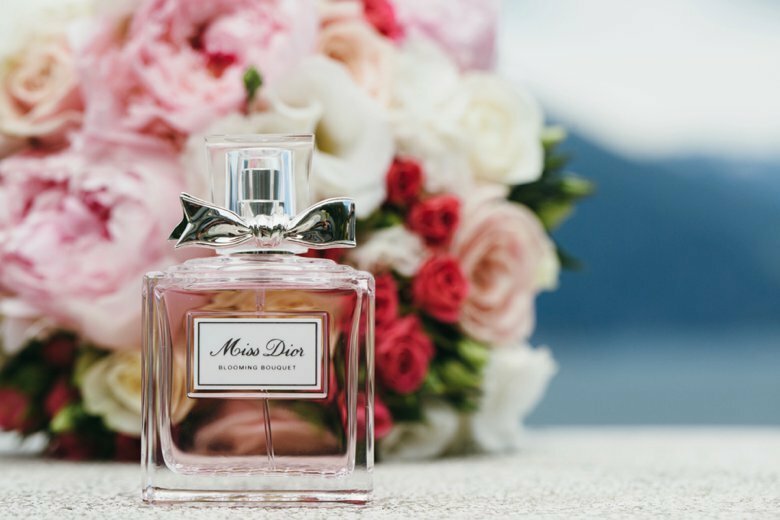 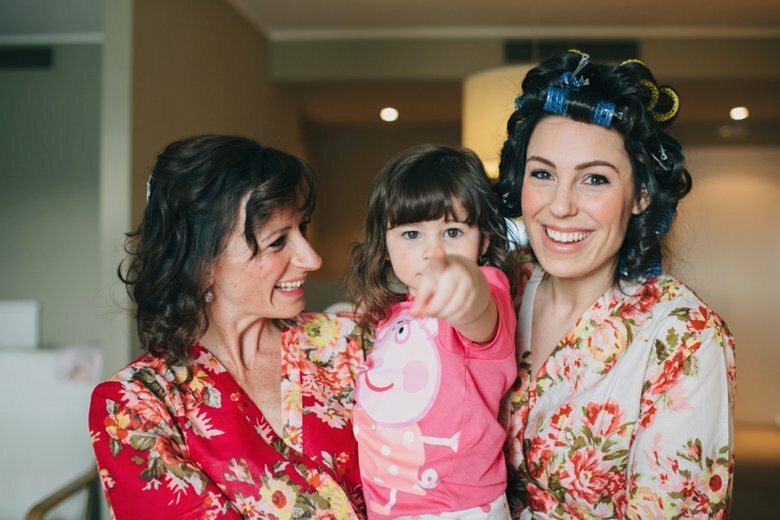 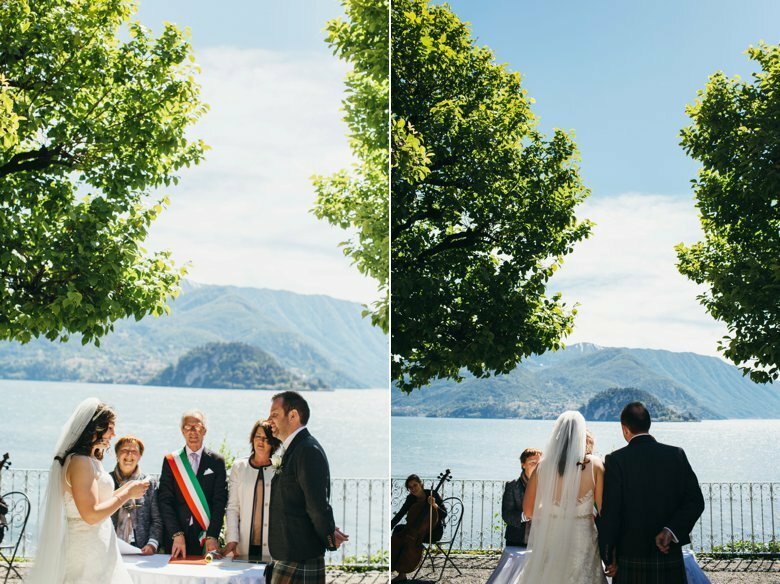 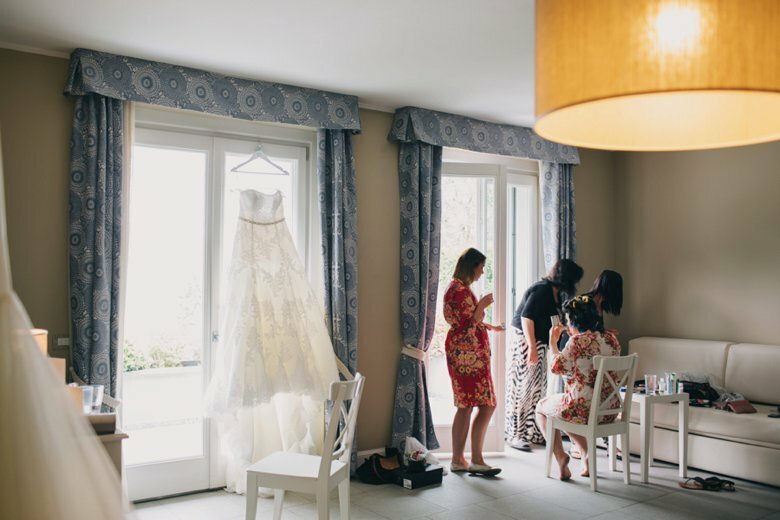 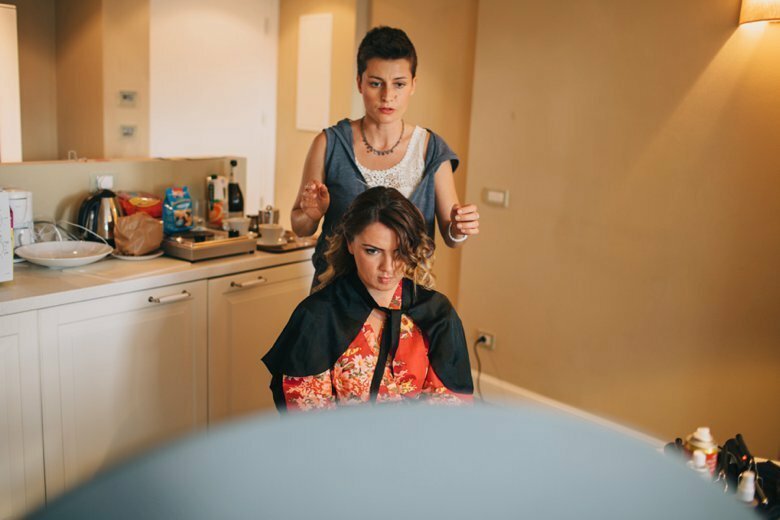 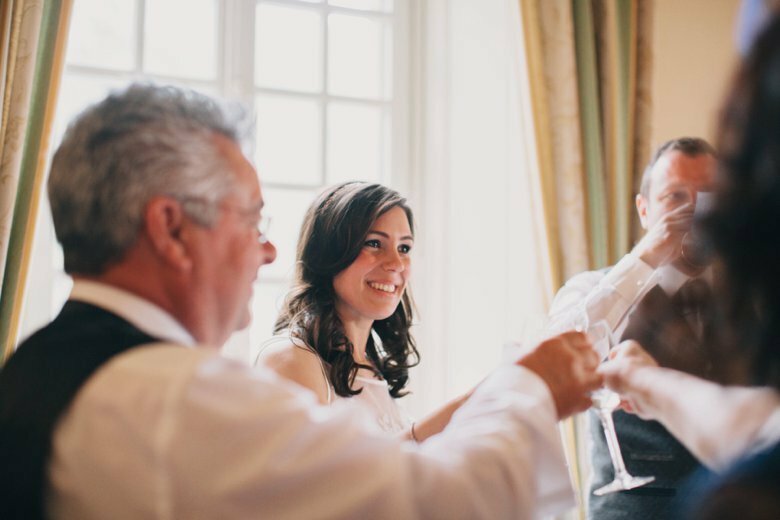 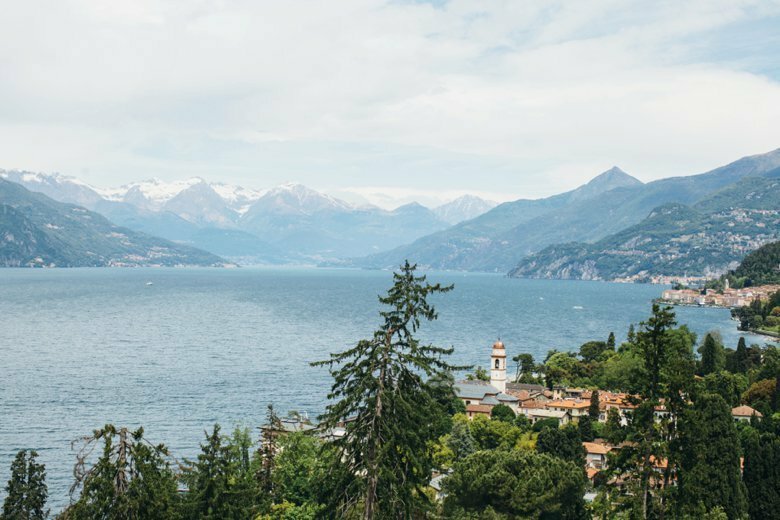 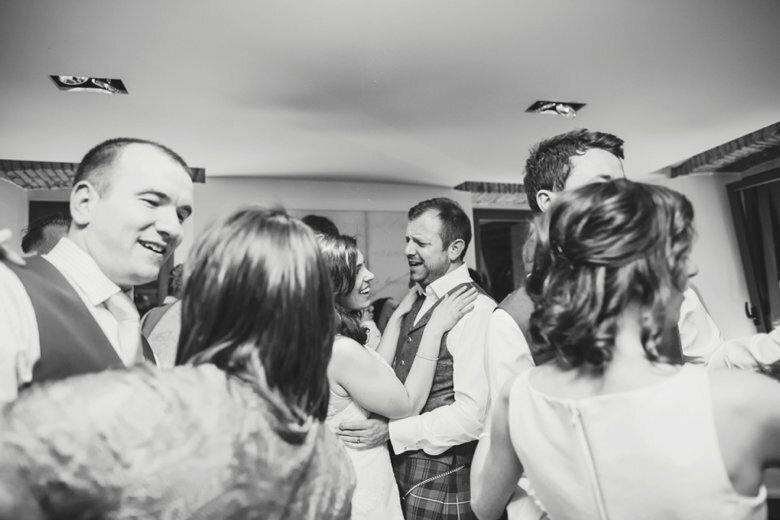 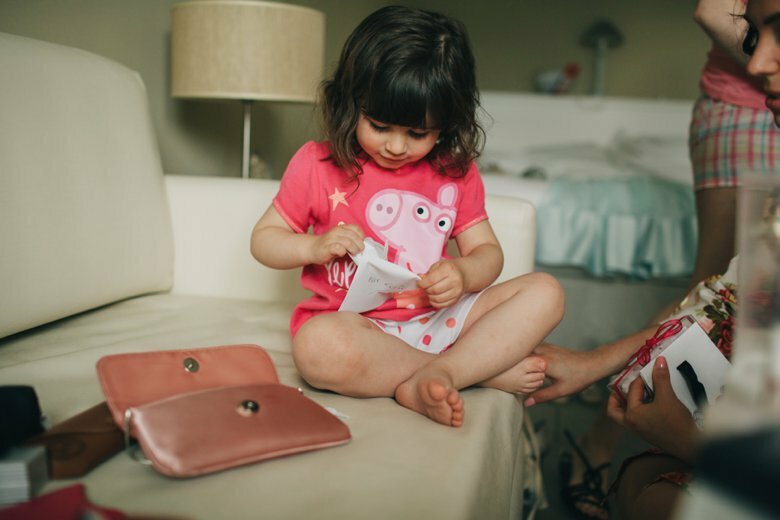 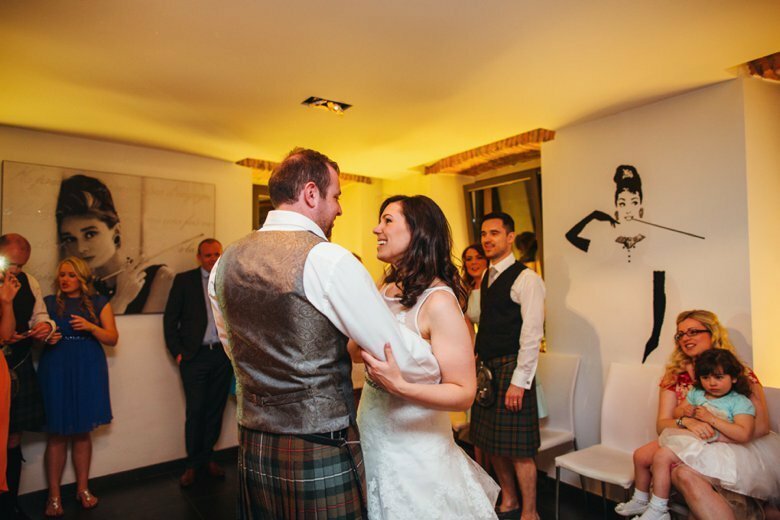 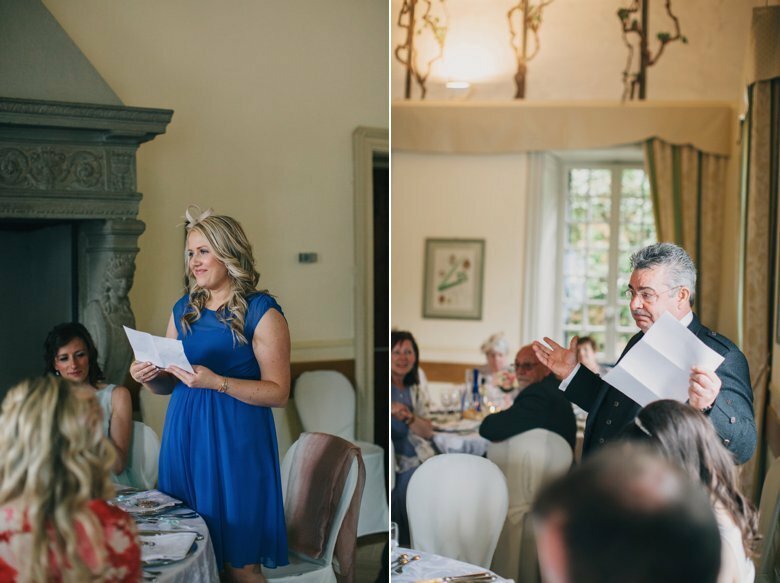 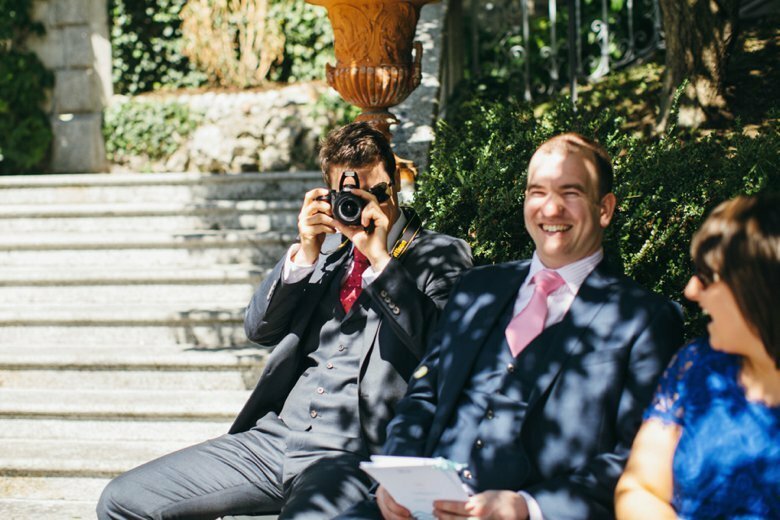 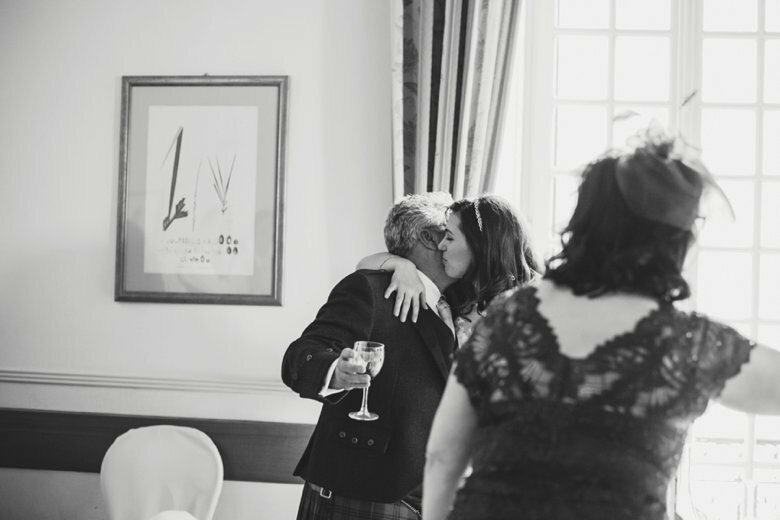 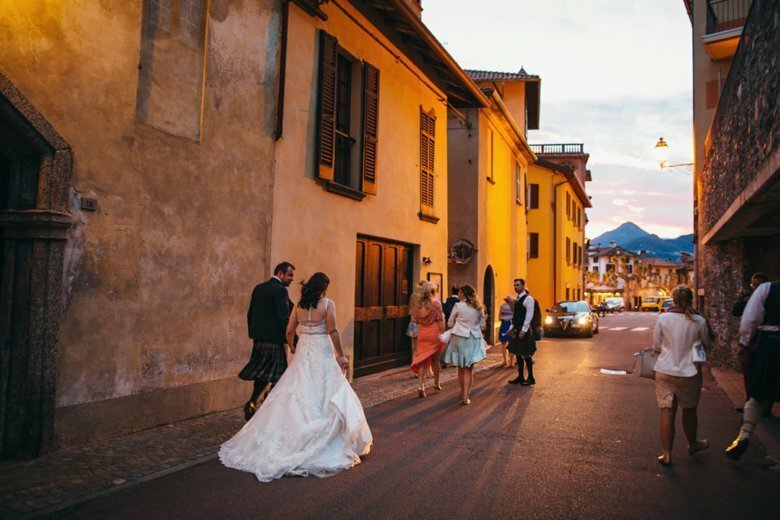 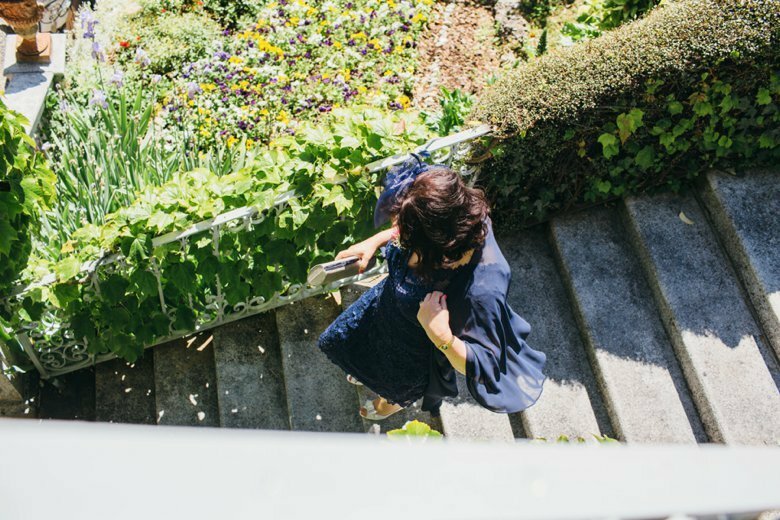 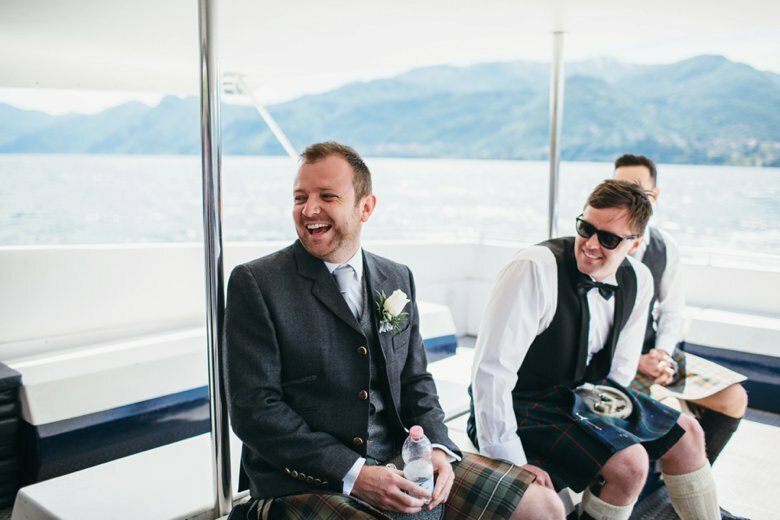 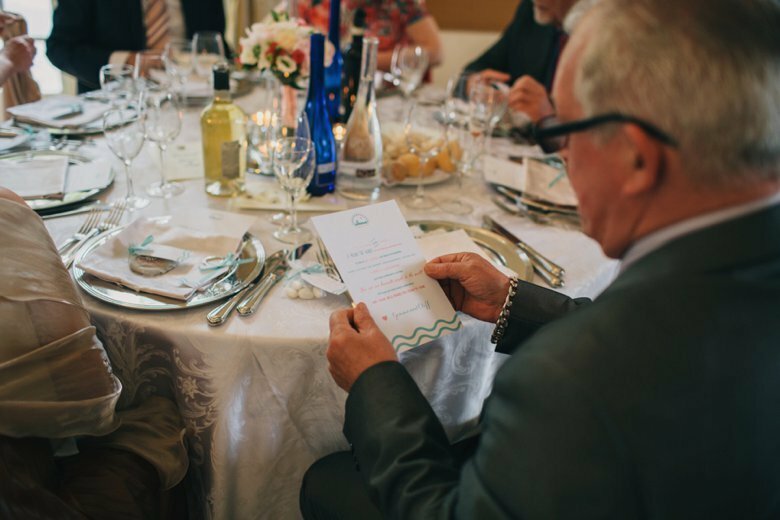 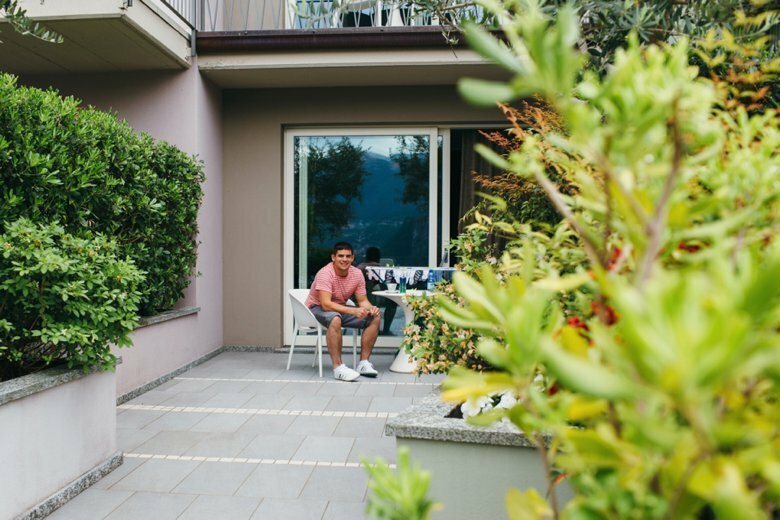 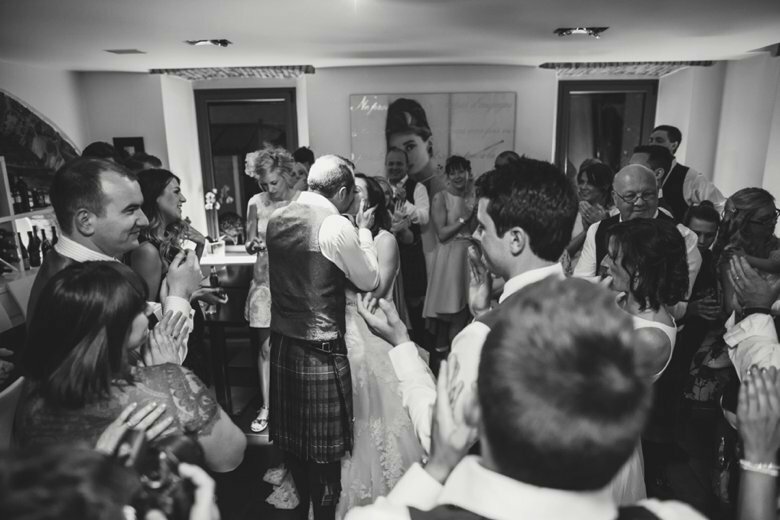 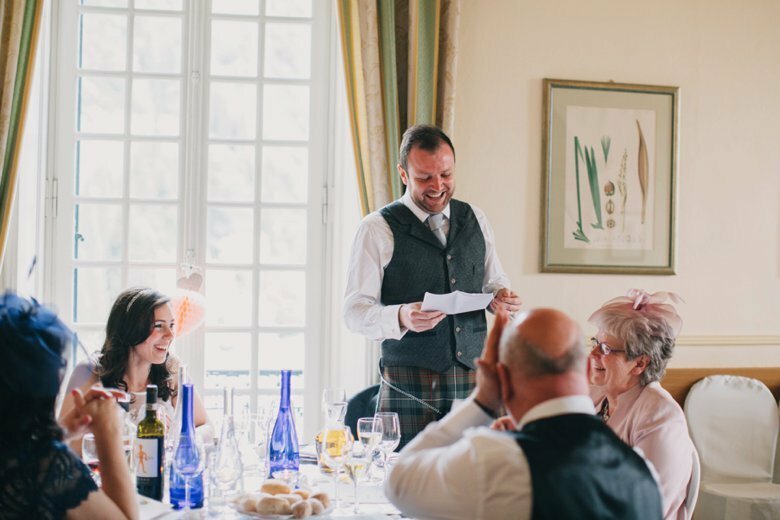 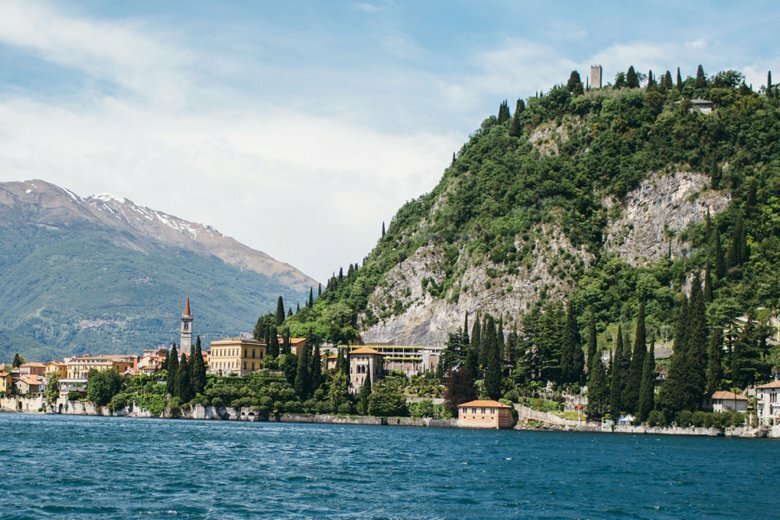 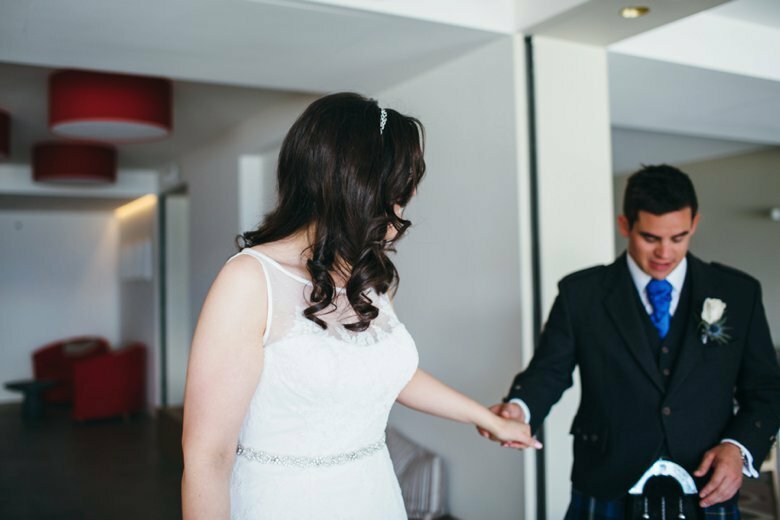 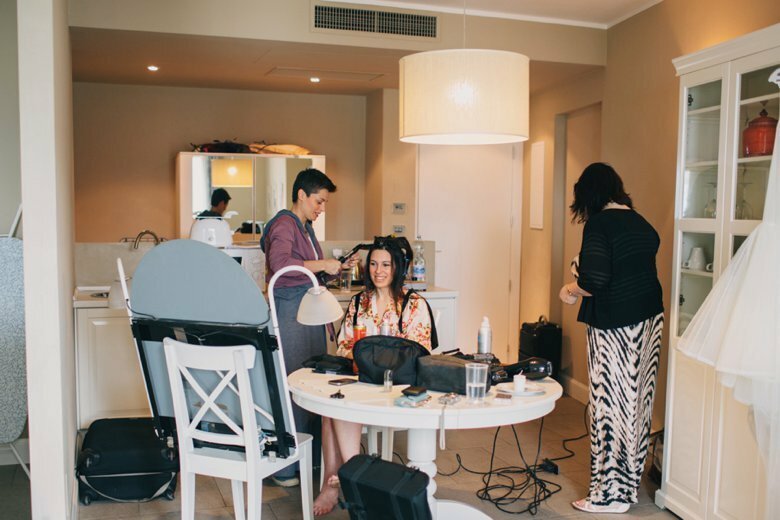 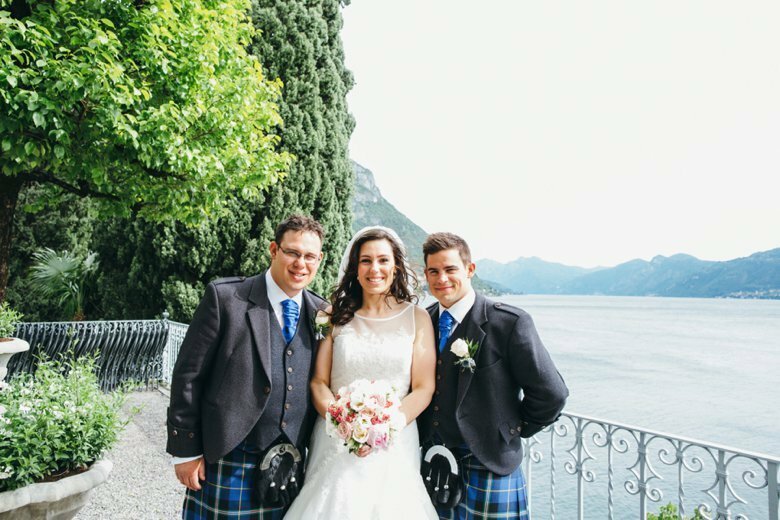 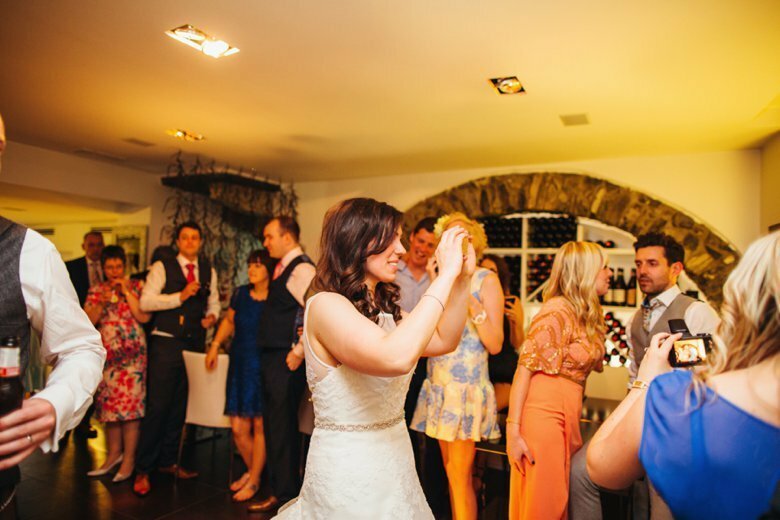 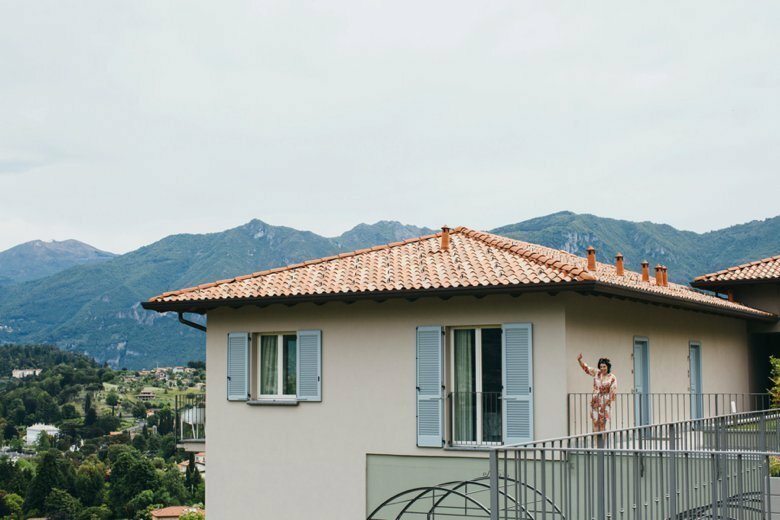 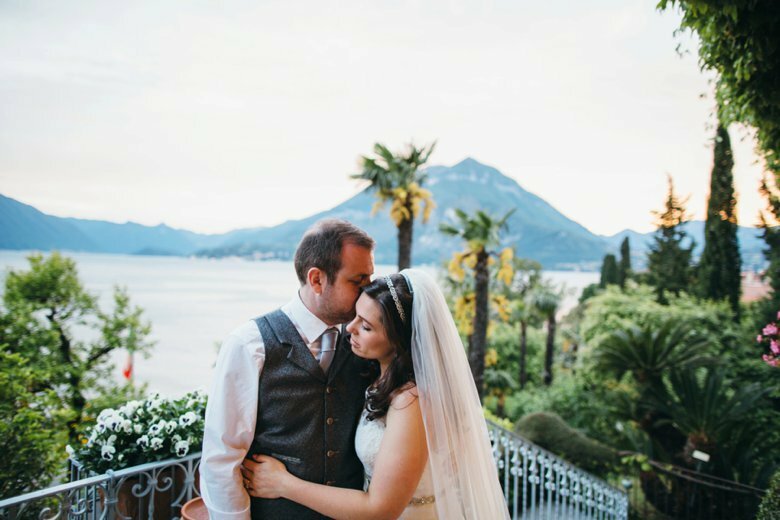 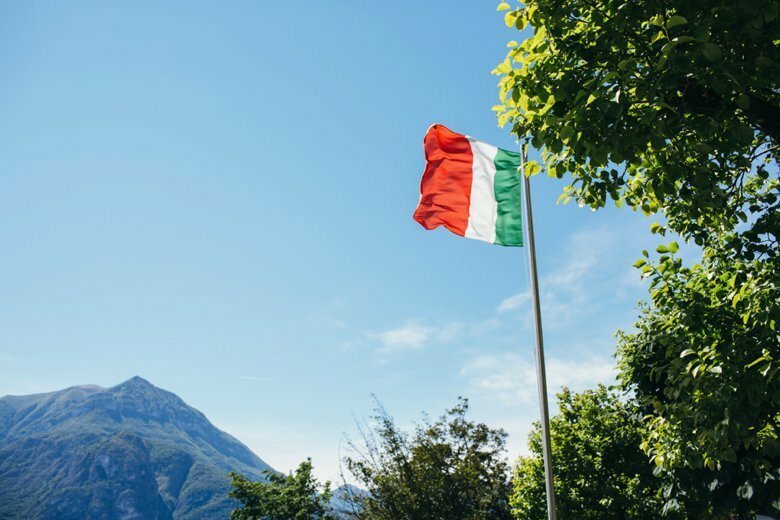 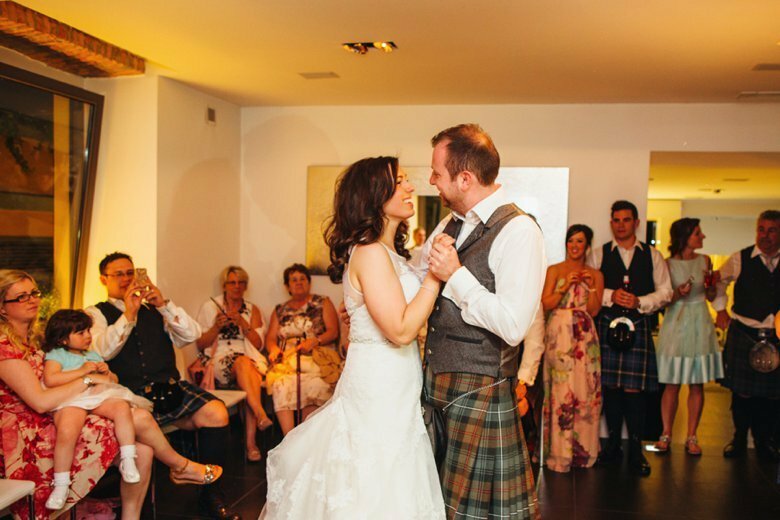 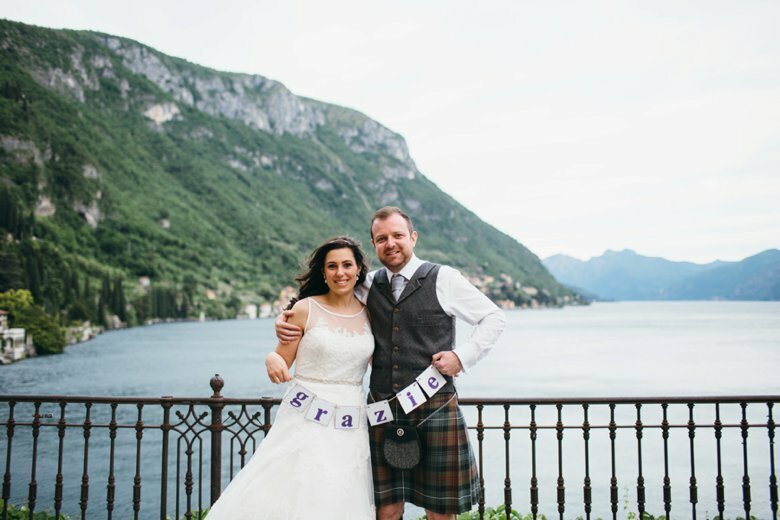 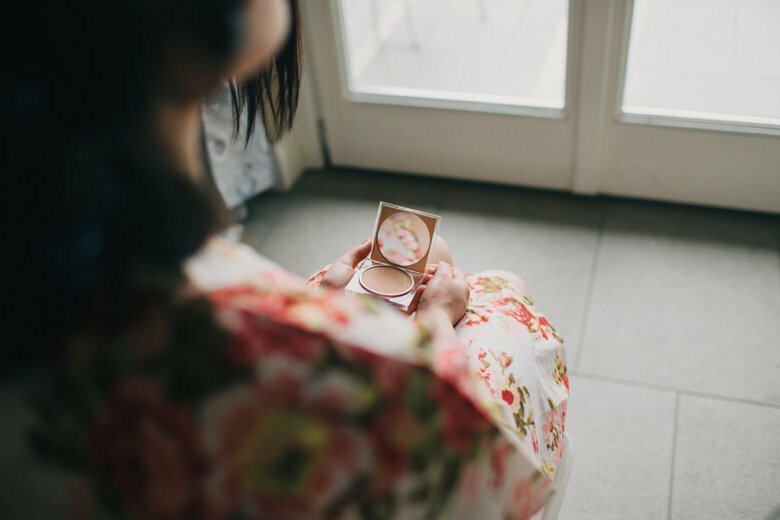 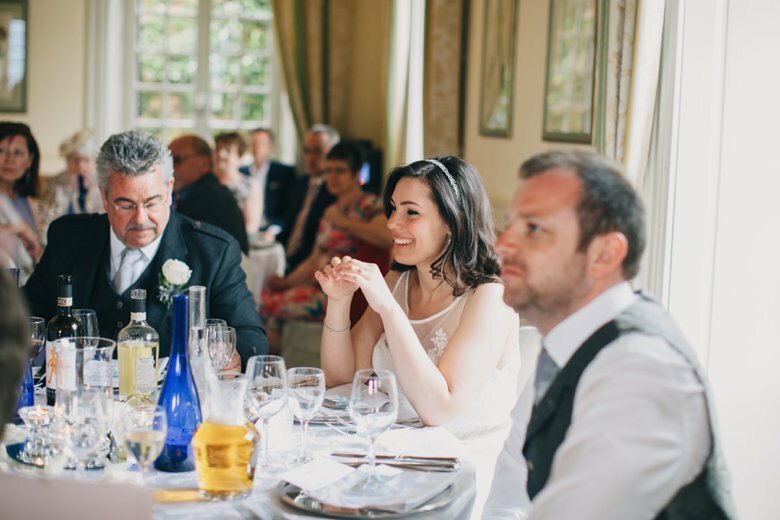 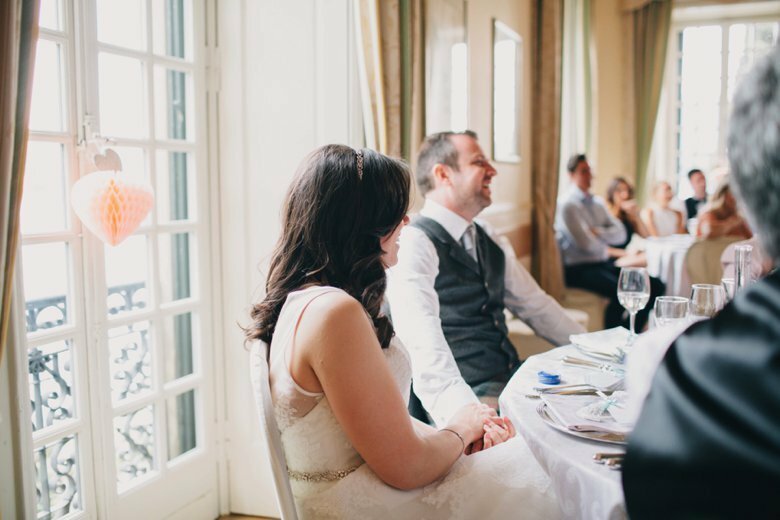 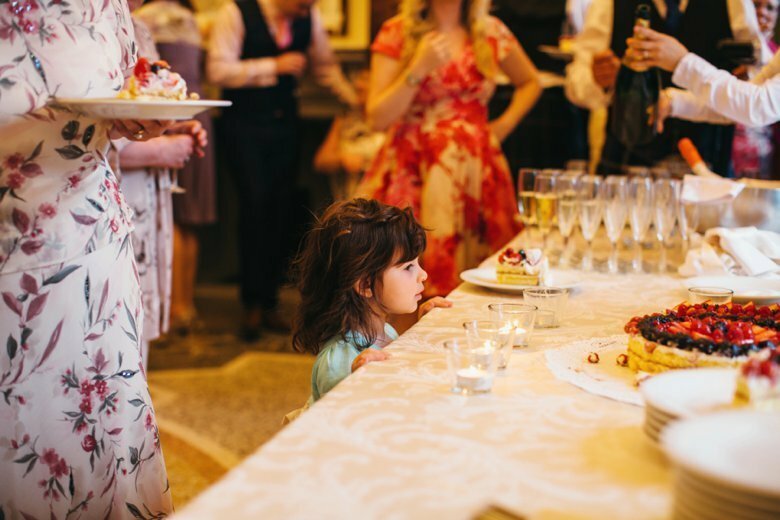 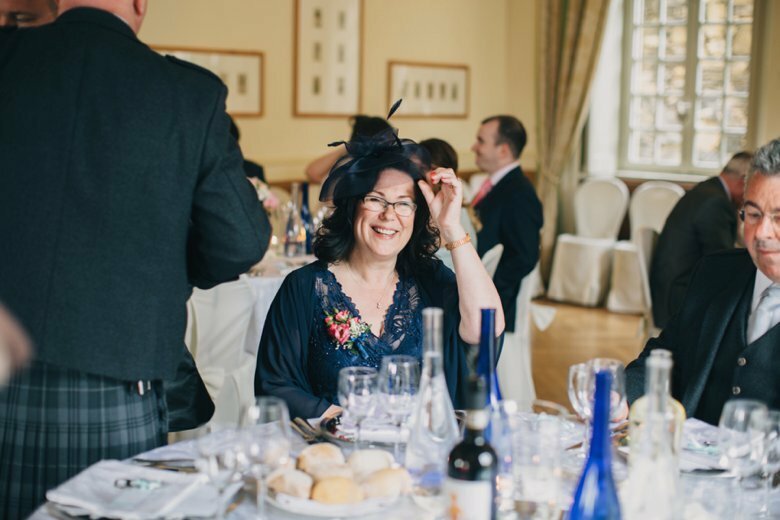 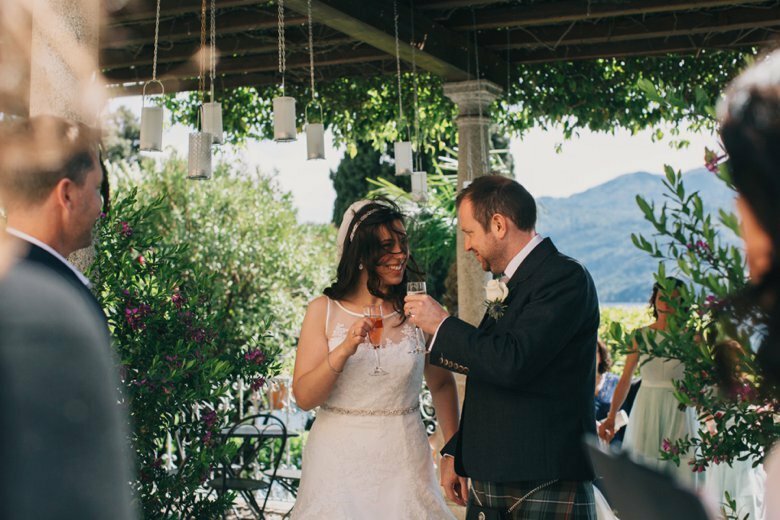 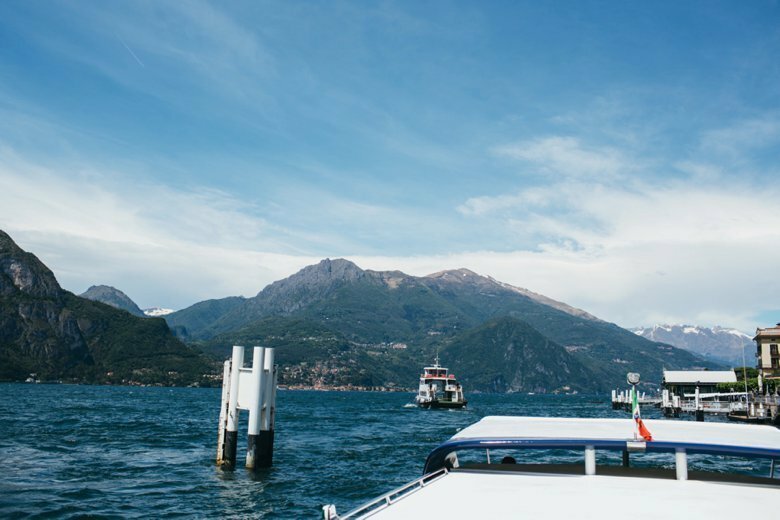 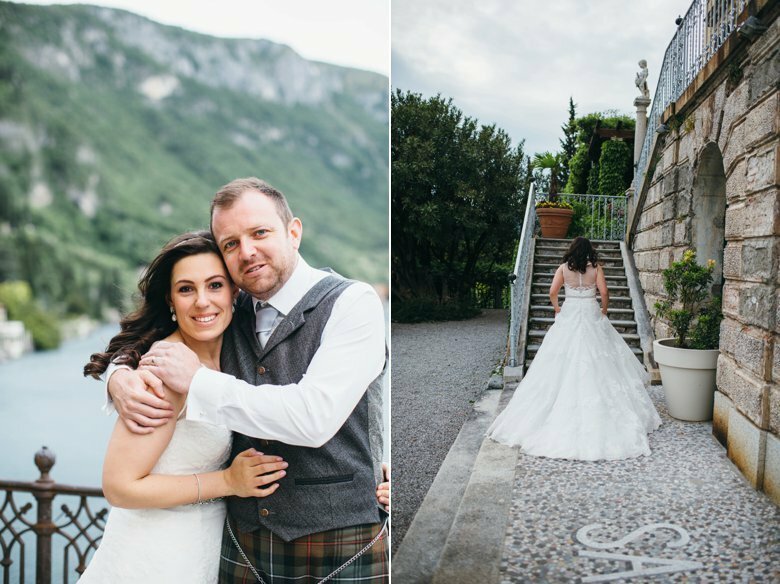 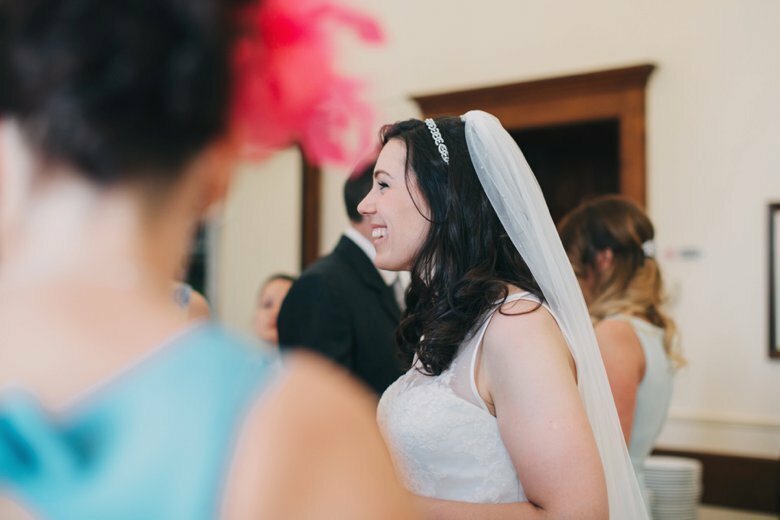 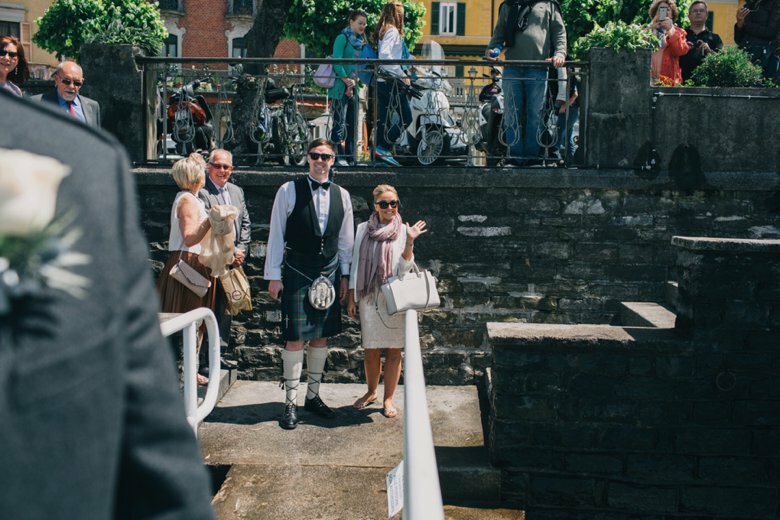 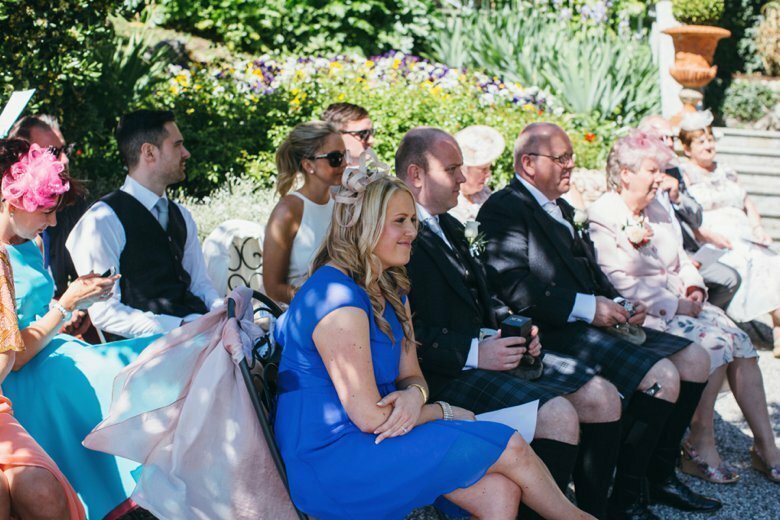 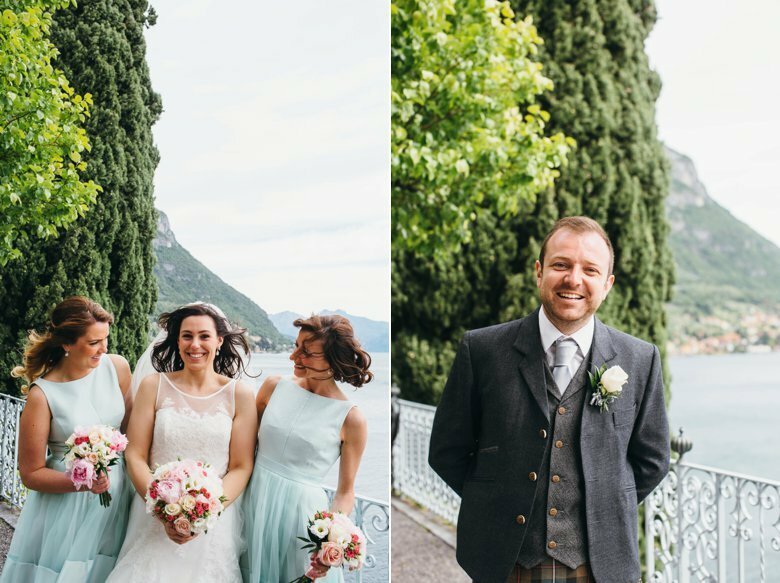 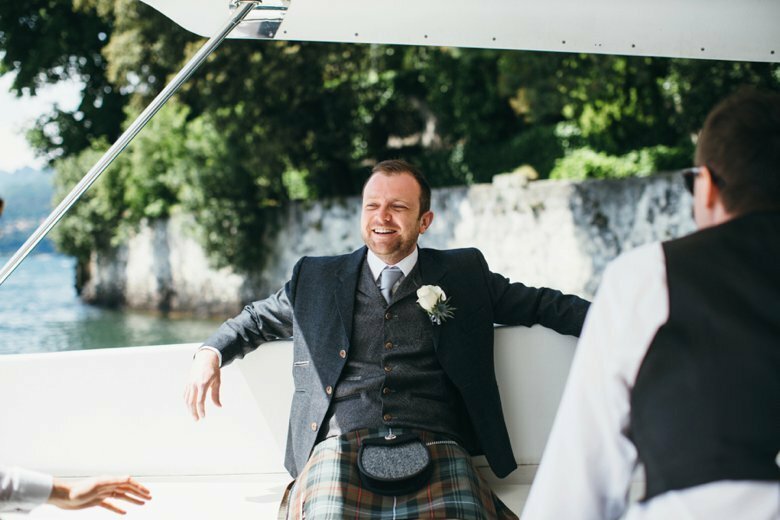 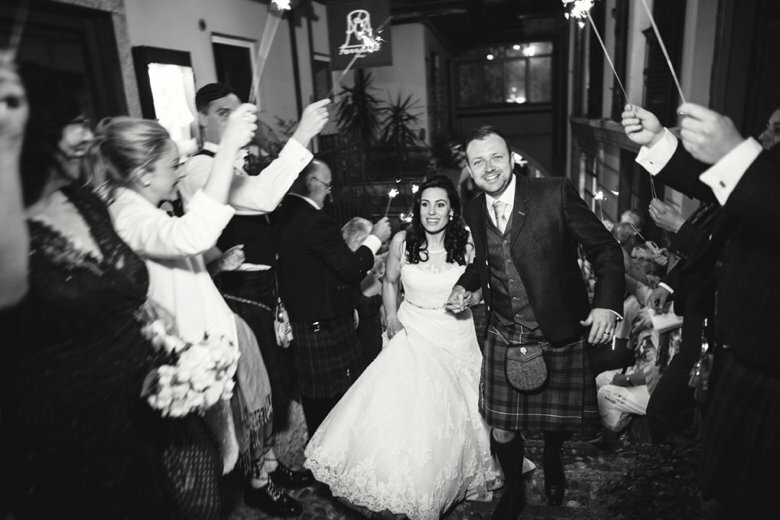 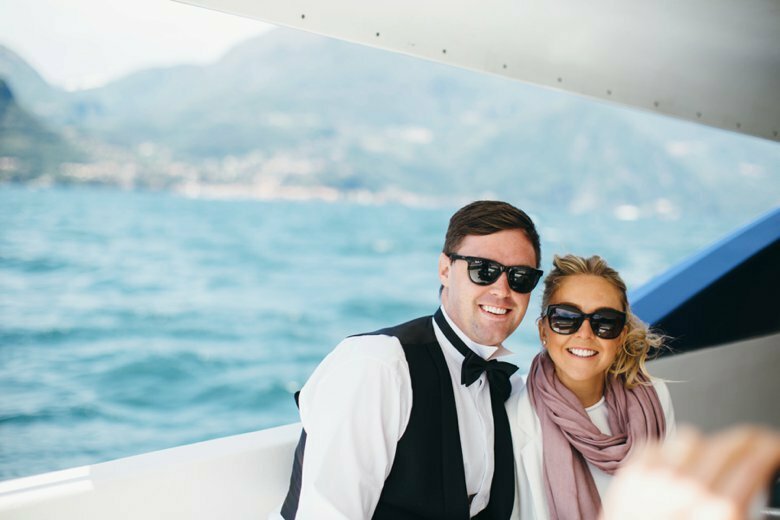 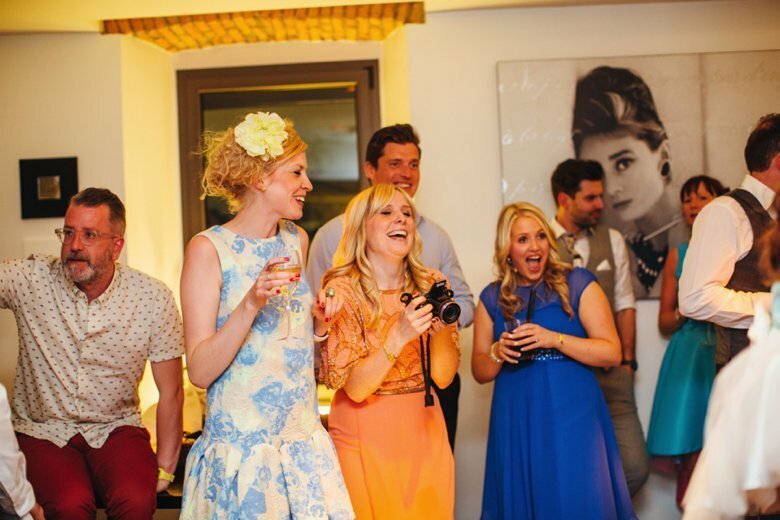 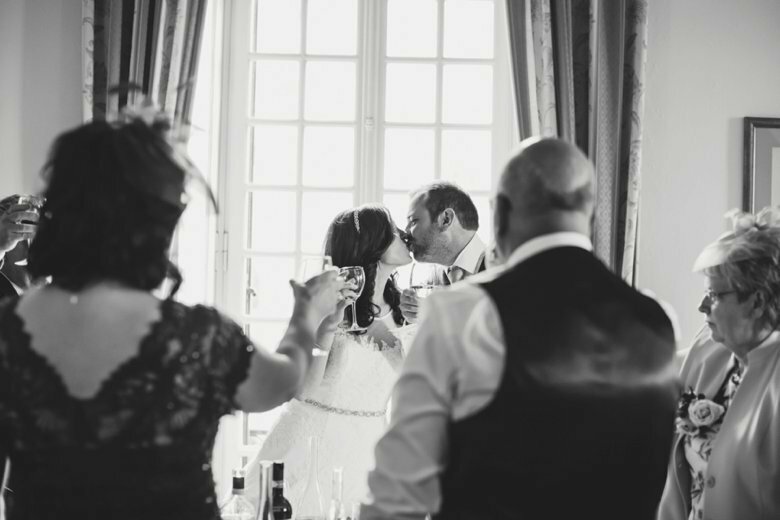 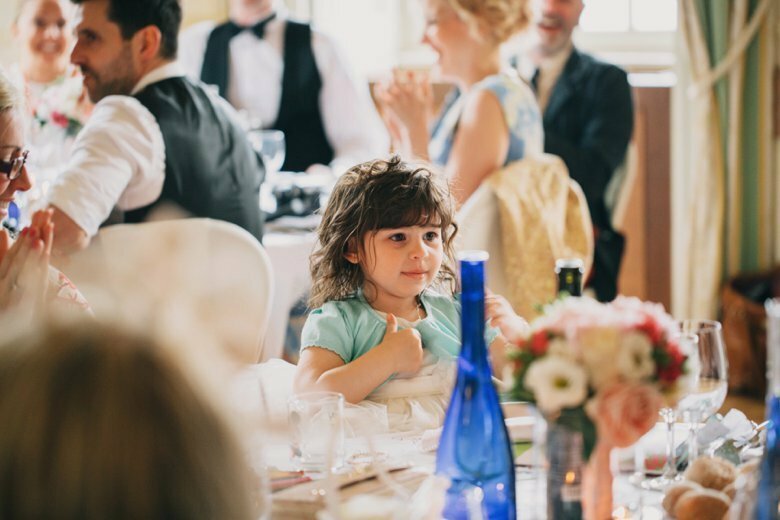 Â Gemma and Cliff used wedding planners Wedding Box Lake Como, who were fantastic on the day and from what I hear invaluable in the planning process and an absolute joy to work with. 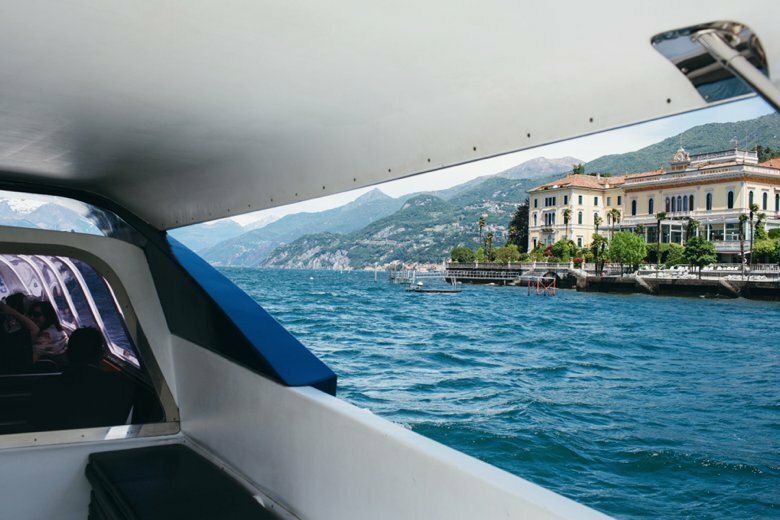 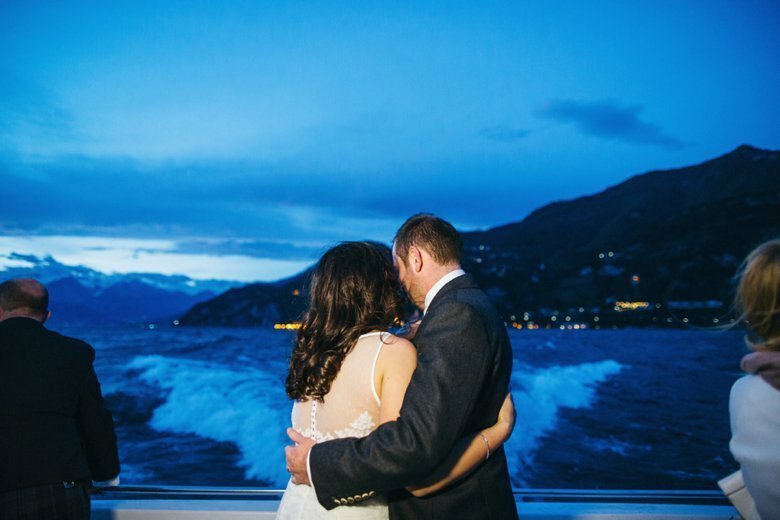 Â The weather didn’t quite play ball, although it was warm and sunny it was a tad too windy, particularly for the james bond stylee bridal boat across to Varenna, Gemma opted for a private car on the passenger ferry whilst we hopped across on the guest boat in rather rough waters! 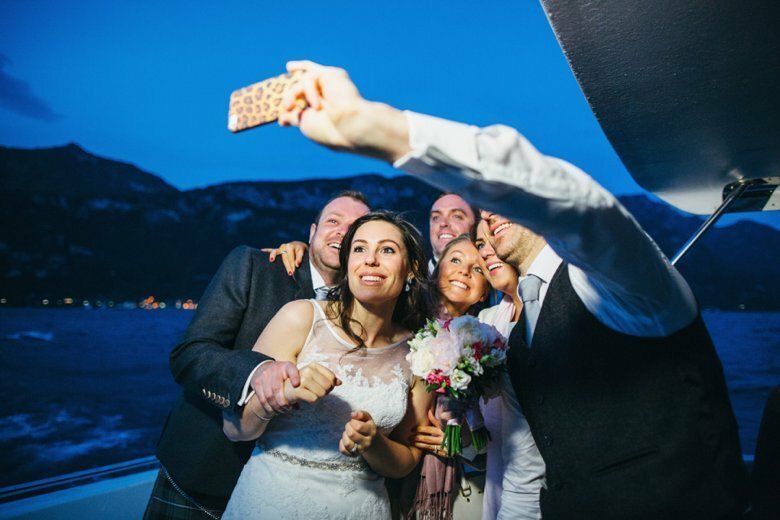 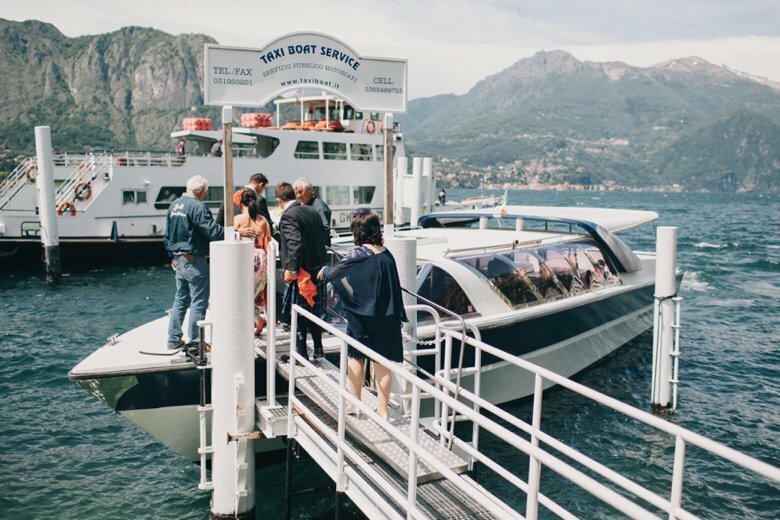 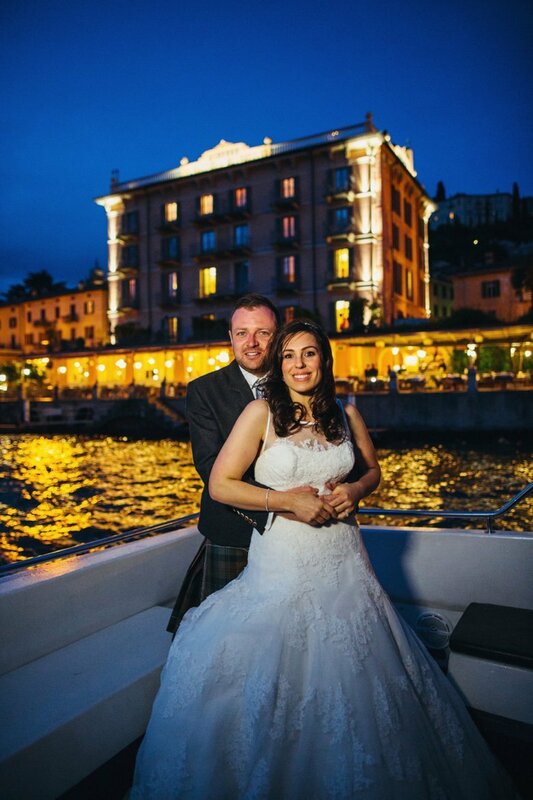 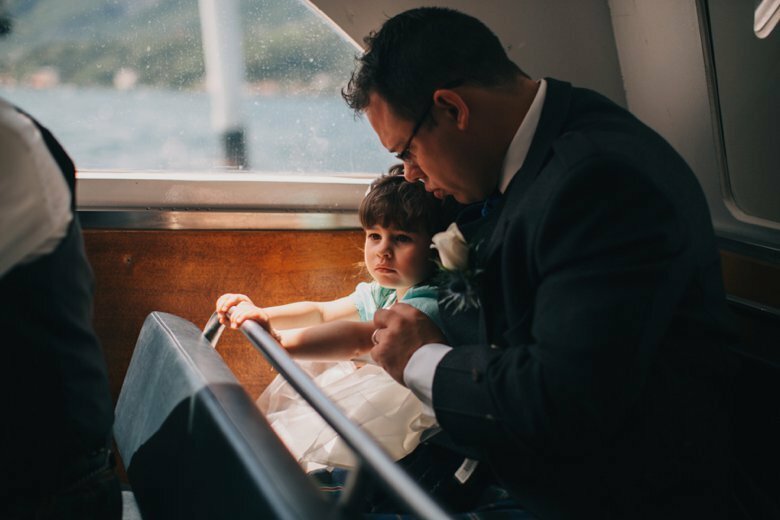 Â The sun shone throughÂ and Gemma and Cliff were able to have their ceremony outdoors but a tad too windy to dine outside but didn’t seem to spoil that day in any way 🙂 After theirÂ Italian feast it was time to head back over to Bellagio on the boat to dance the night away. 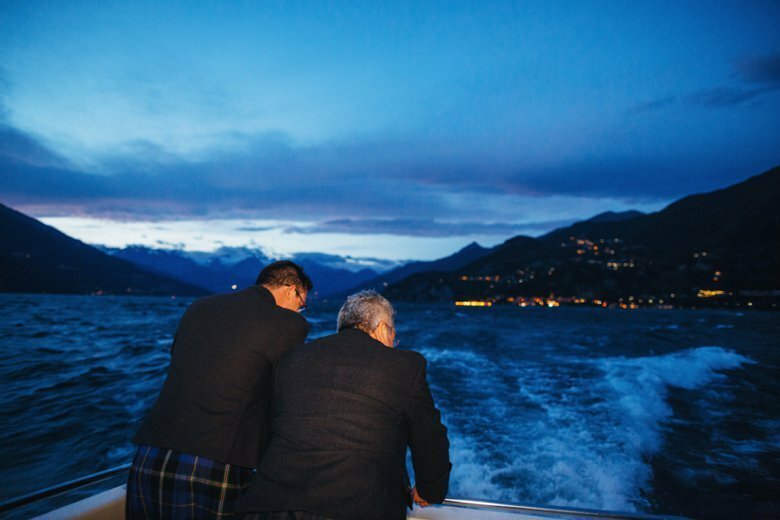 Thankfully the wind had died down for a far smoother crossing, it was magical seeing the twinkling lights of Bellagio over the water. 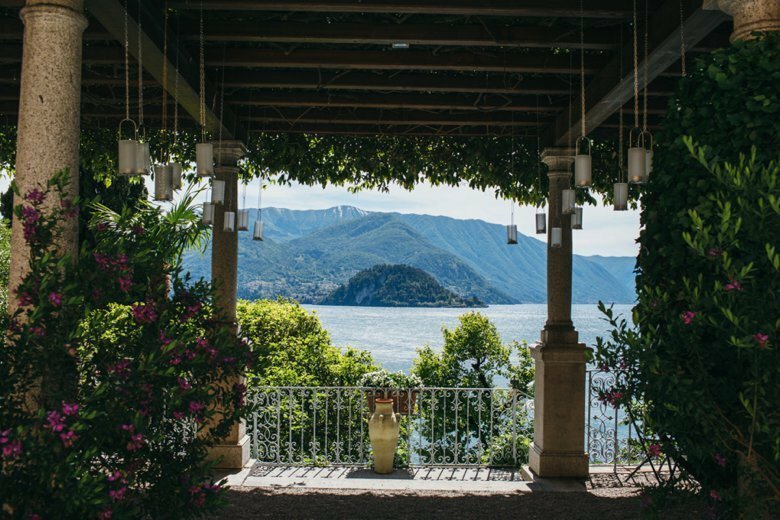 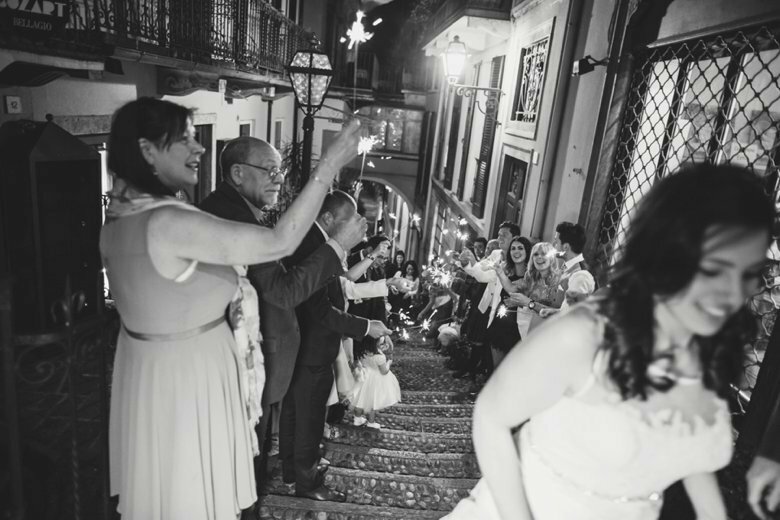 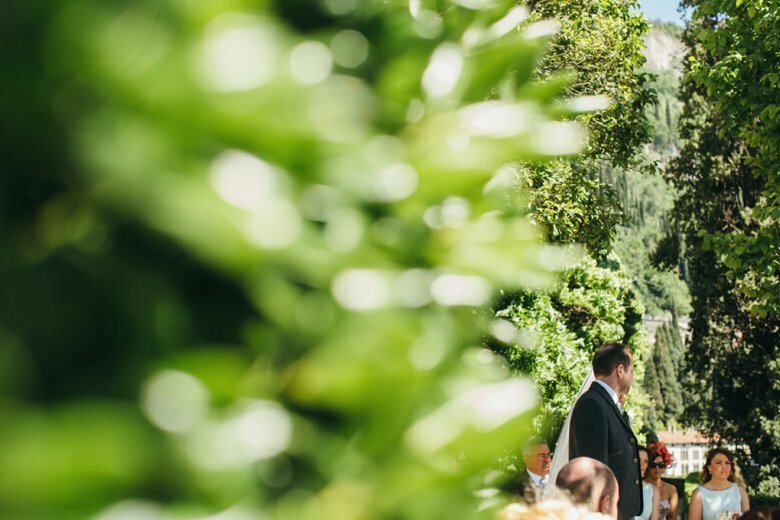 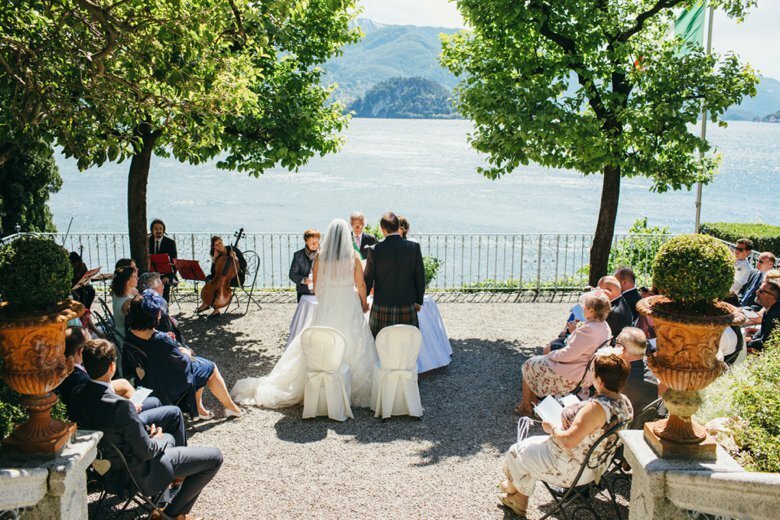 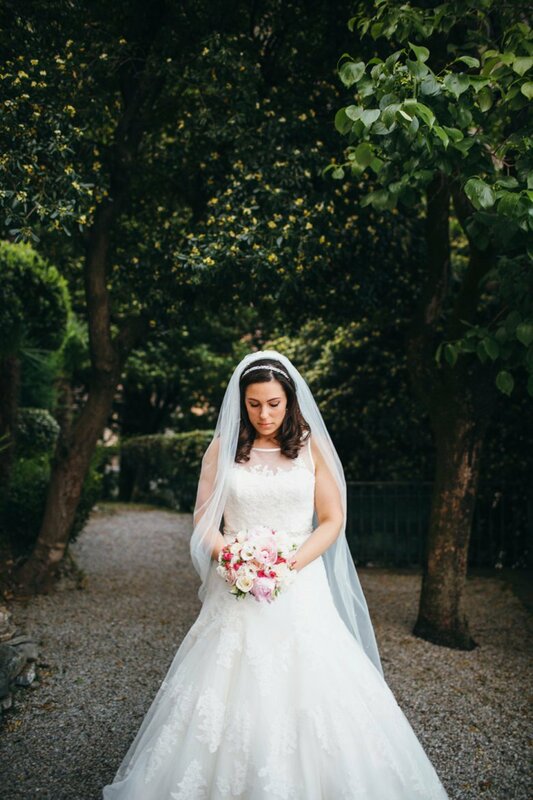 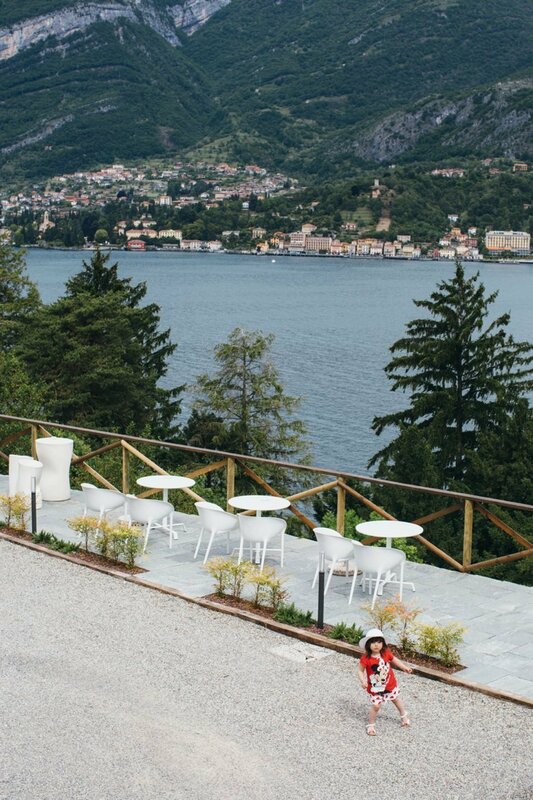 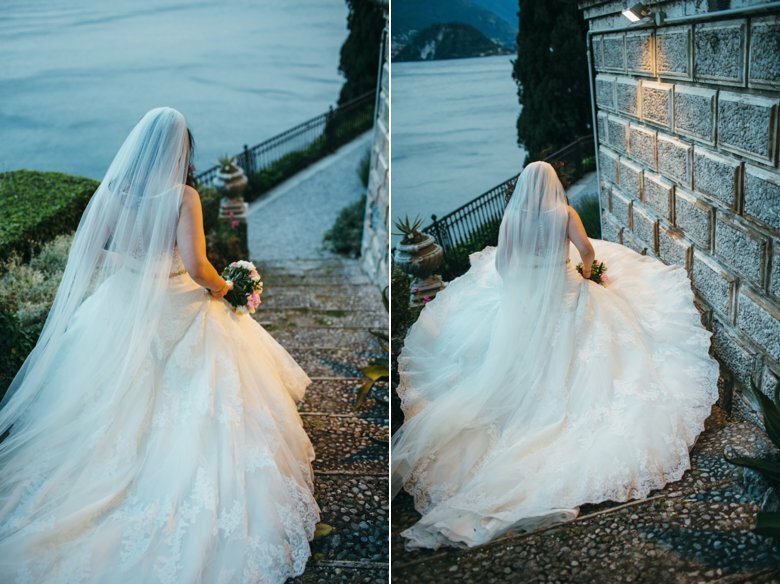 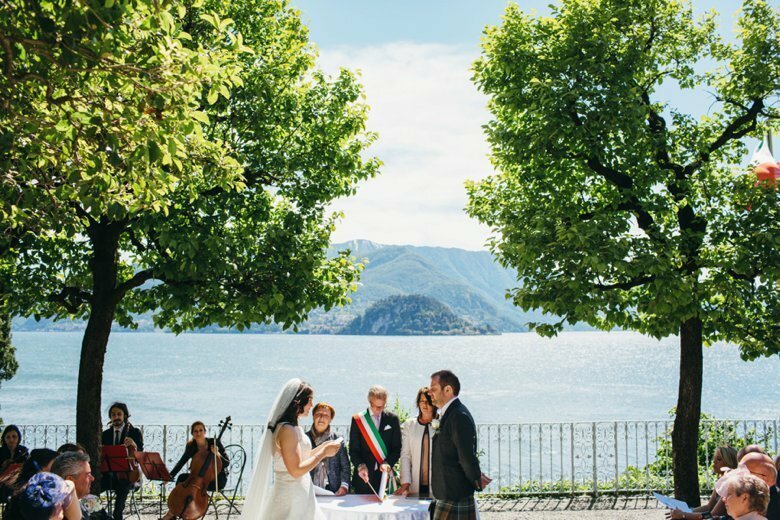 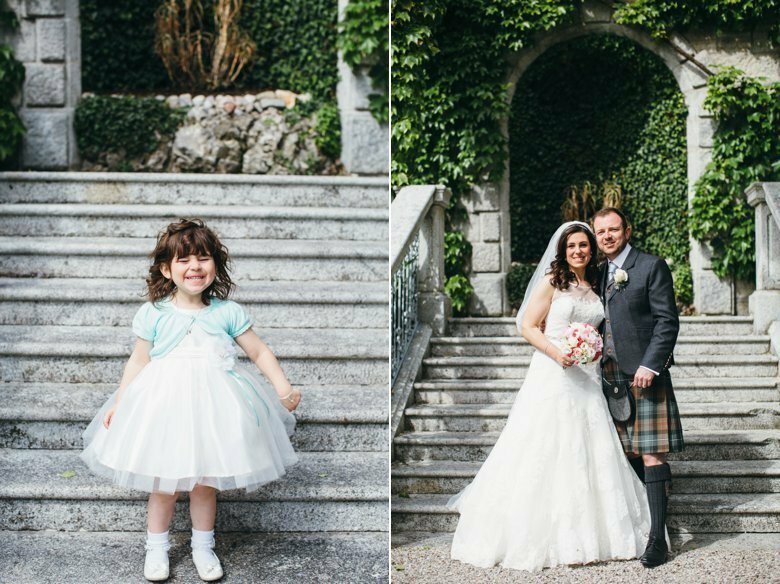 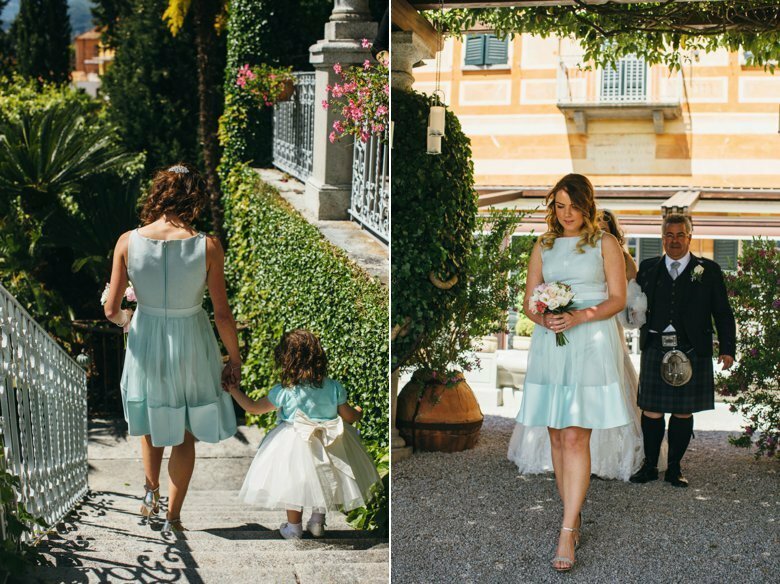 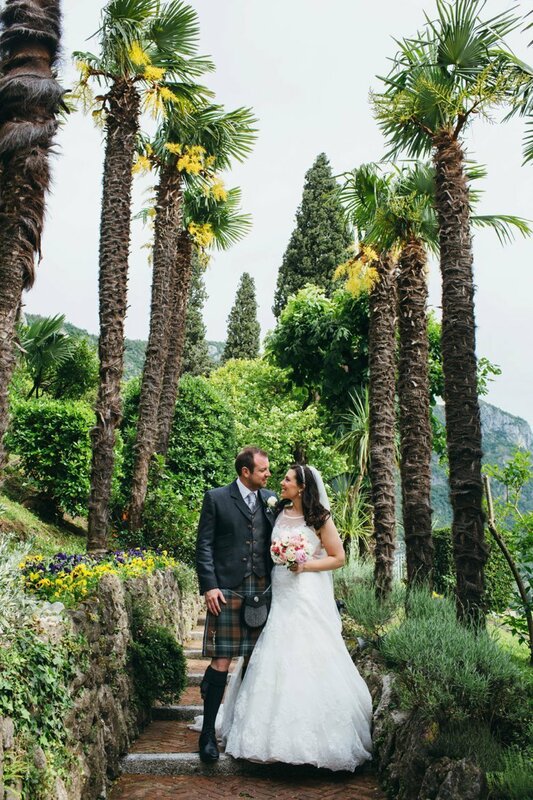 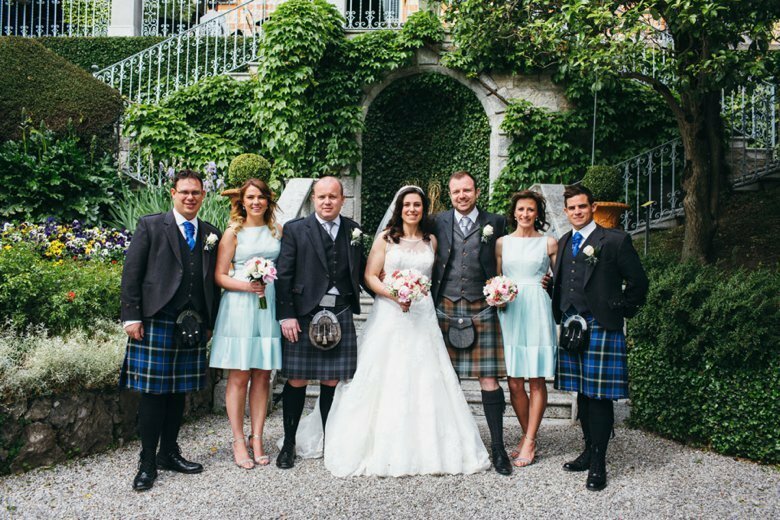 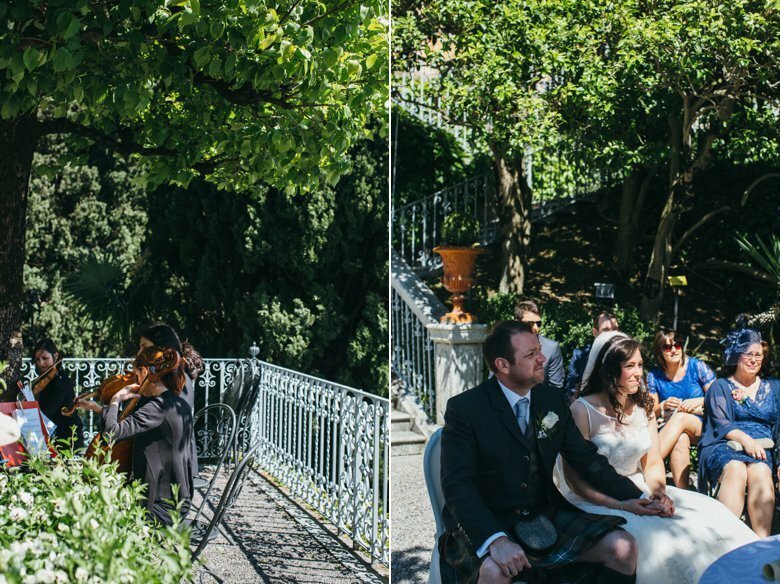 So without further ado here it is, the beautiful wedding of Gemma and Cliff, Lake Como, Italy. 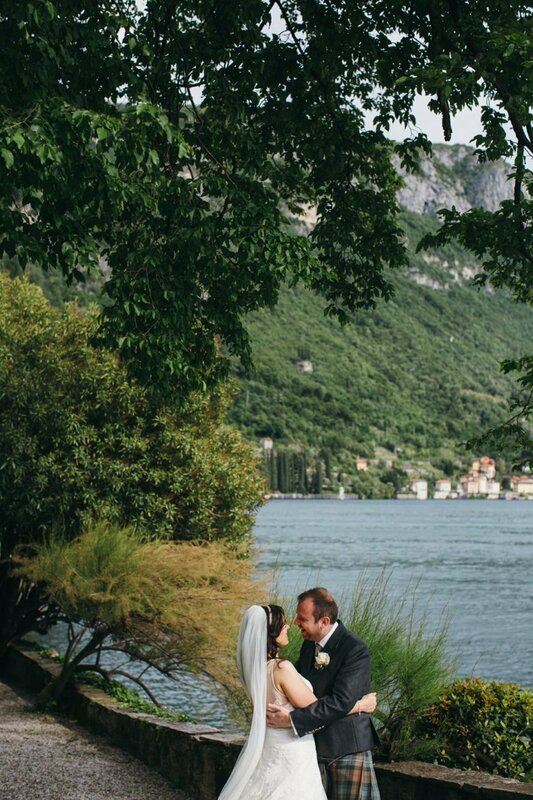 So gorgeous, what a beautiful wedding. 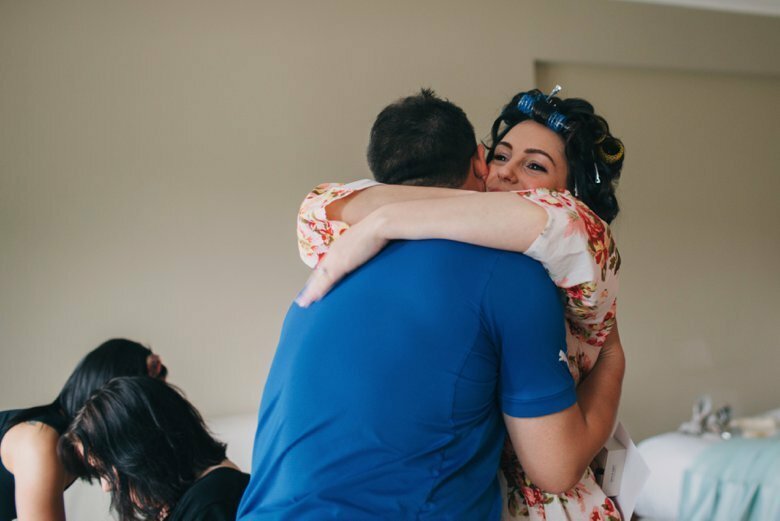 thank you Lisa 🙂 it was pretty awesome.